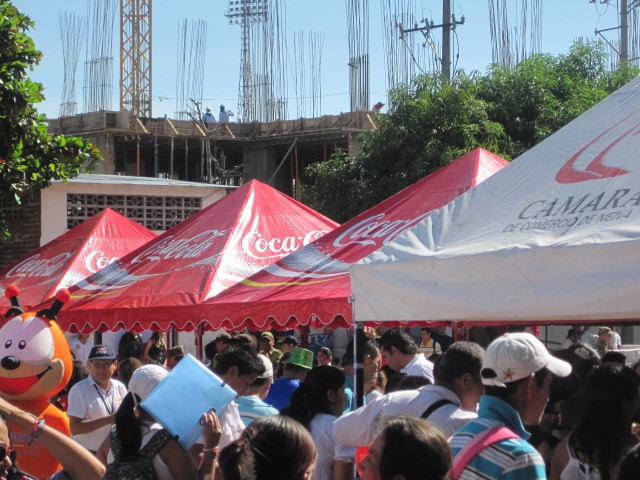 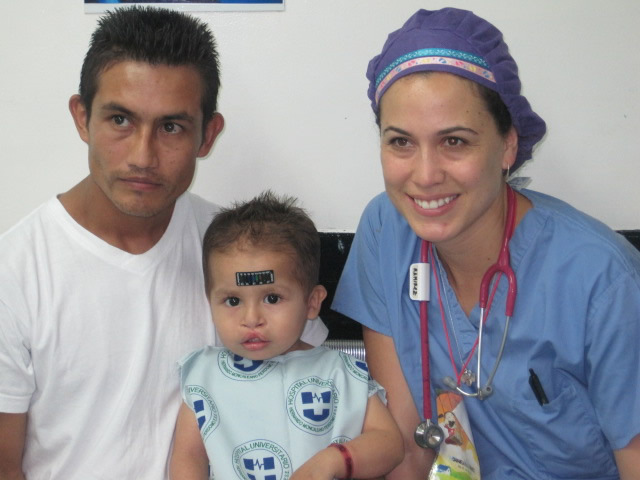 In an initiative that reflects the unique trust and confidence that has been established through 26 consecutive years of its medical mission accomplishments, Healing the Children’s upcoming Mission to Neiva, Colombia, South America promises to be its most ambitious yet. 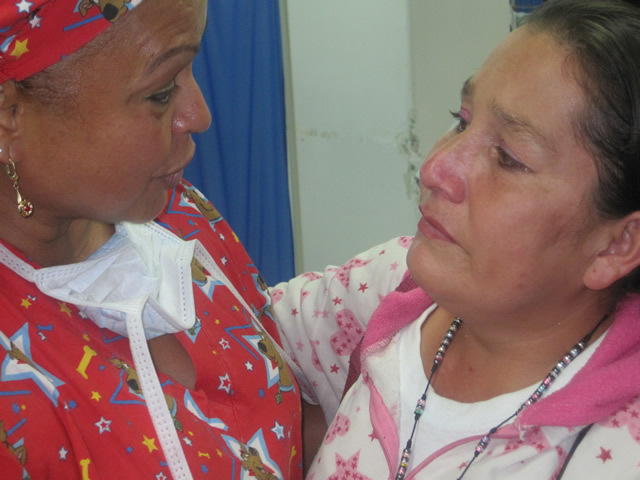 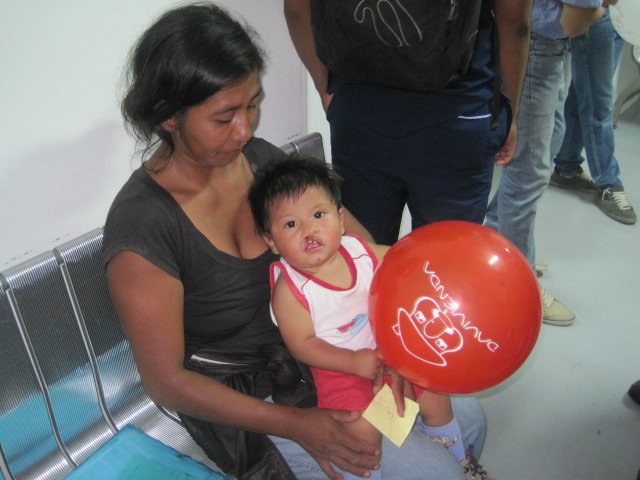 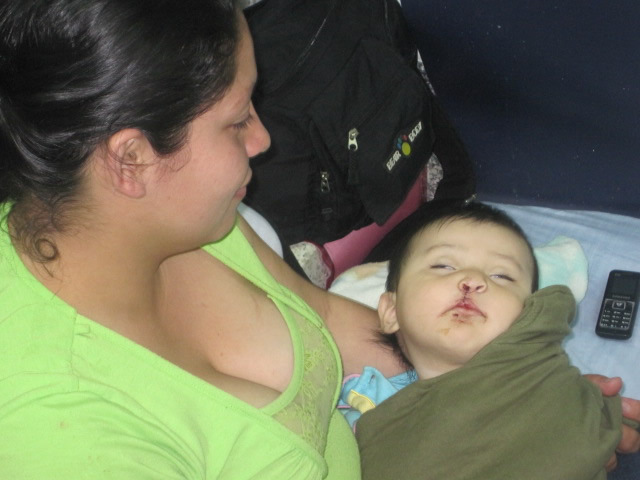 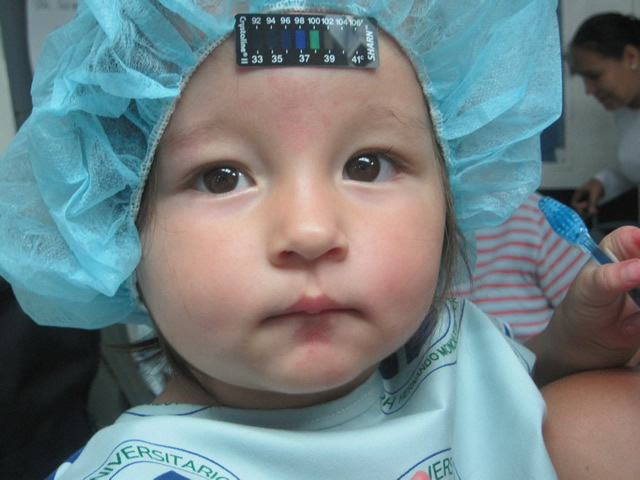 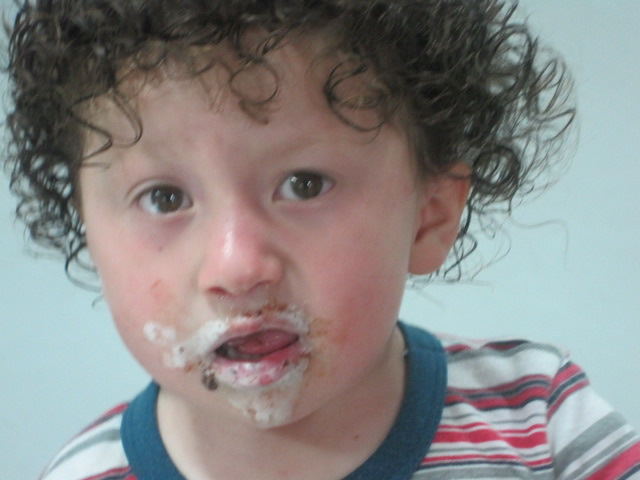 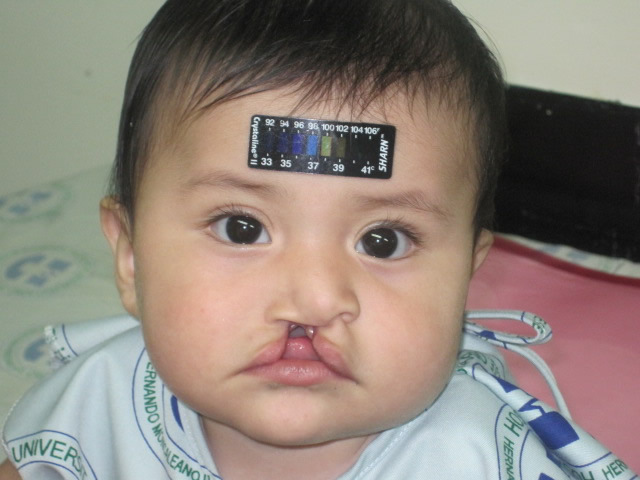 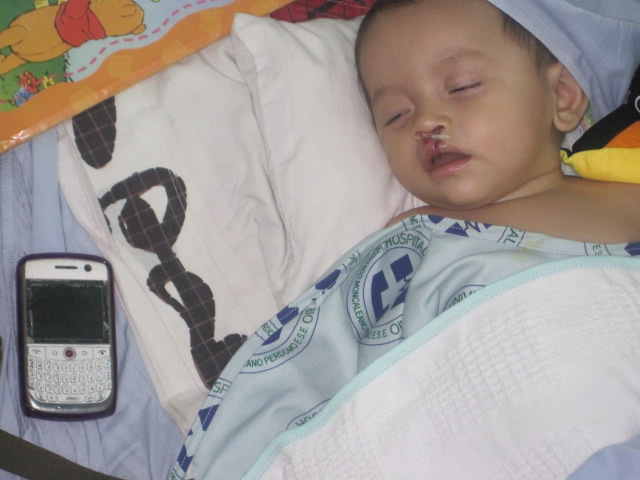 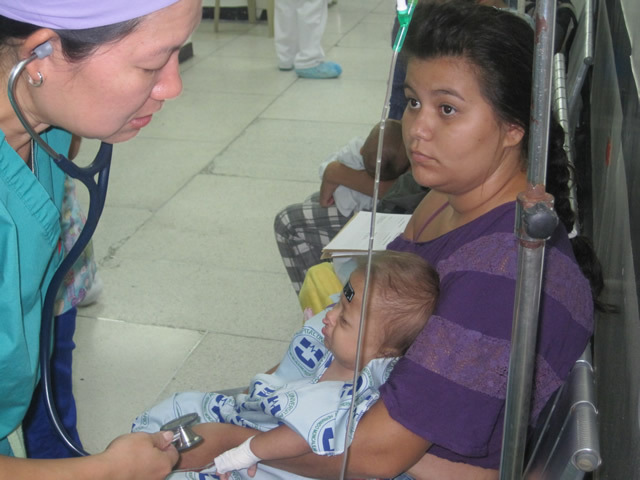 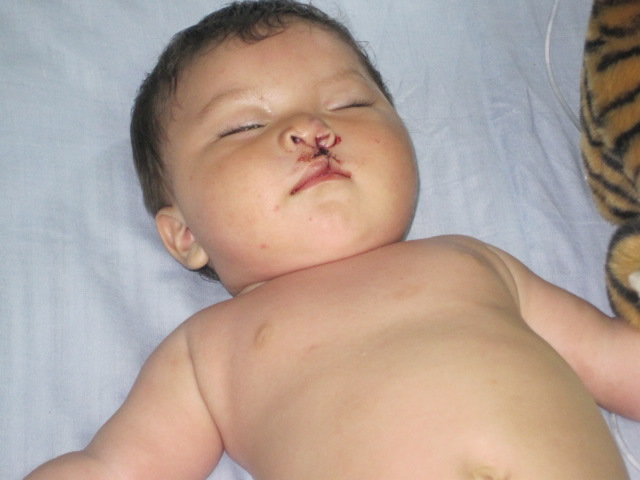 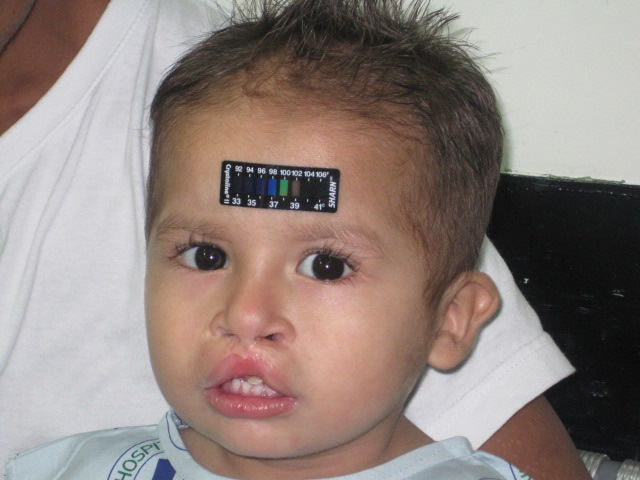 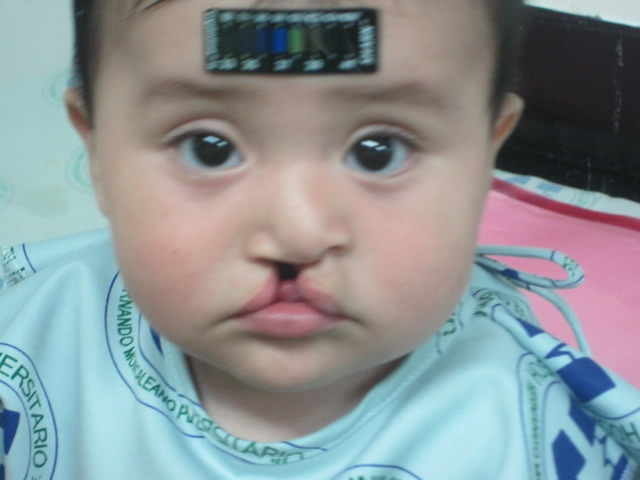 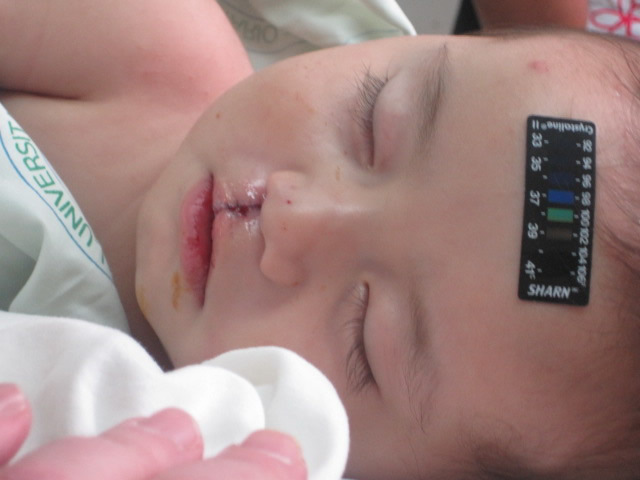 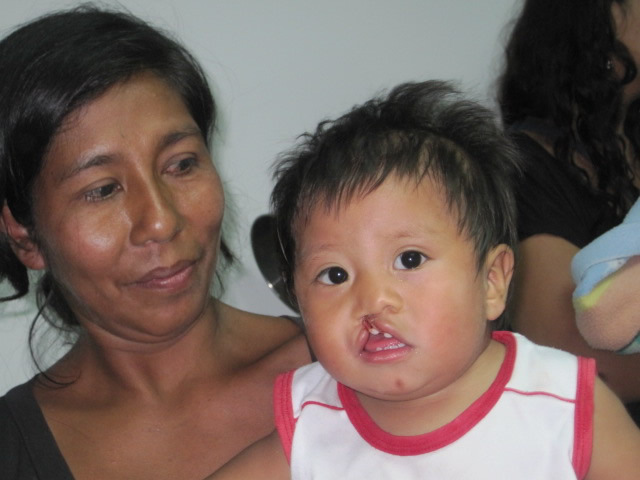 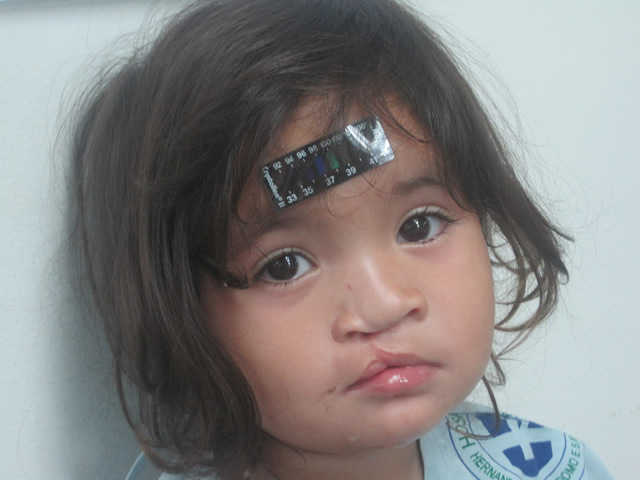 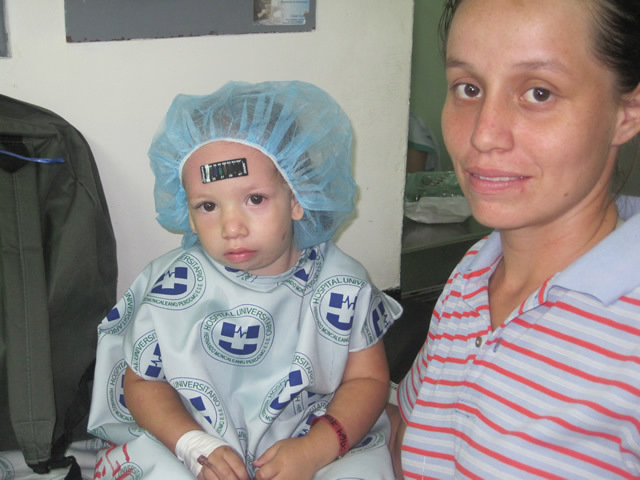 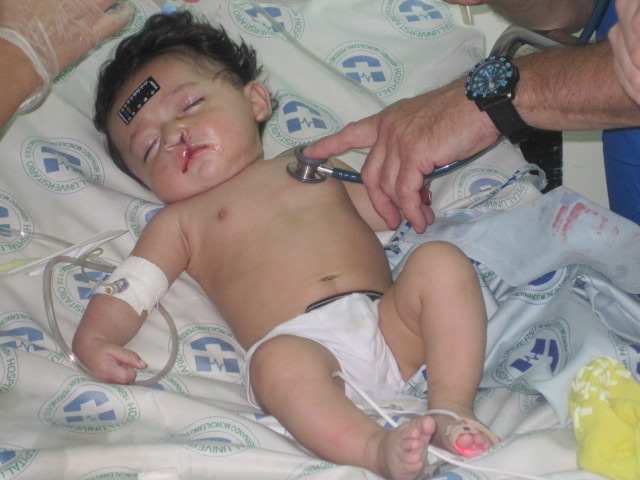 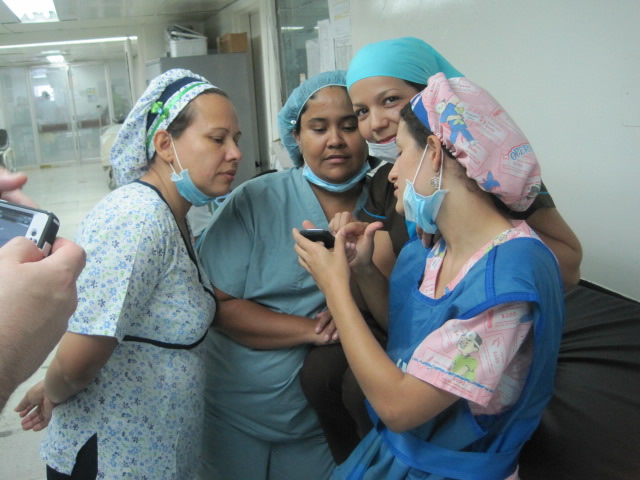 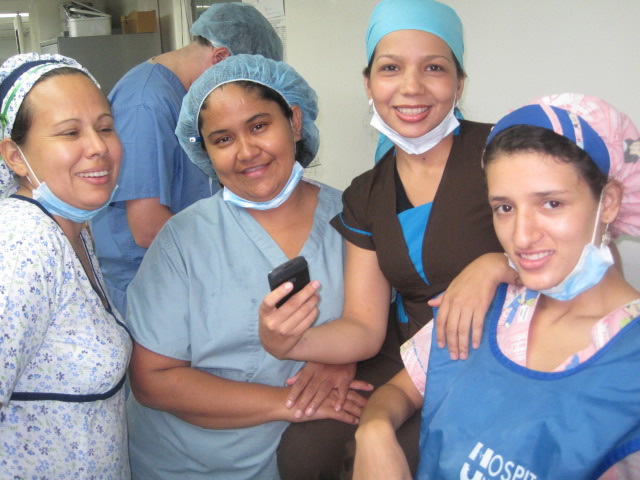 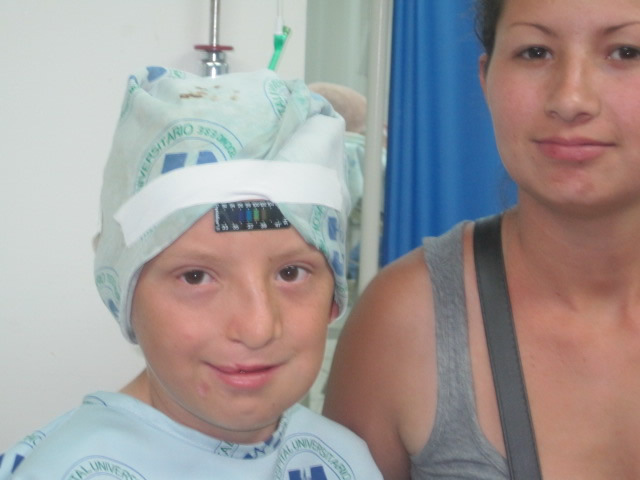 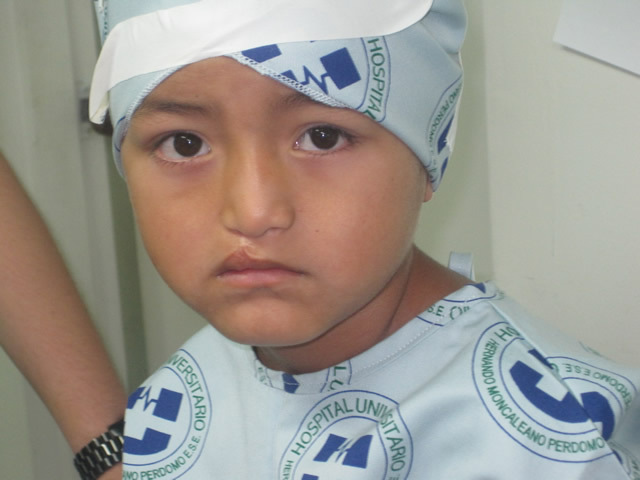 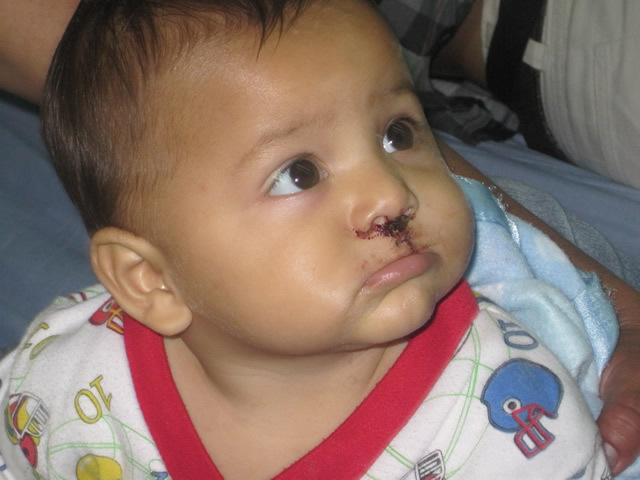 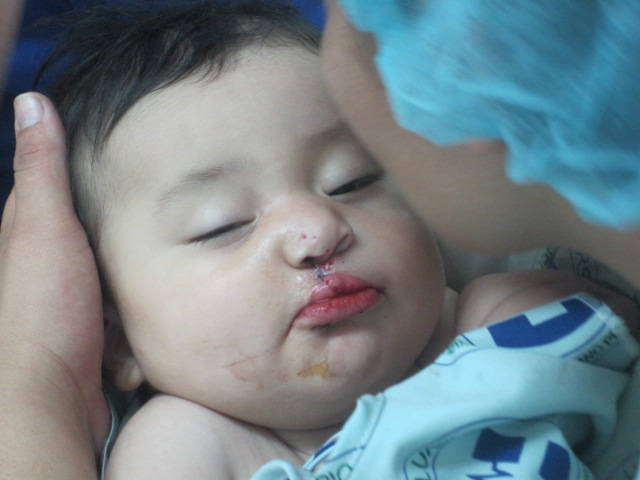 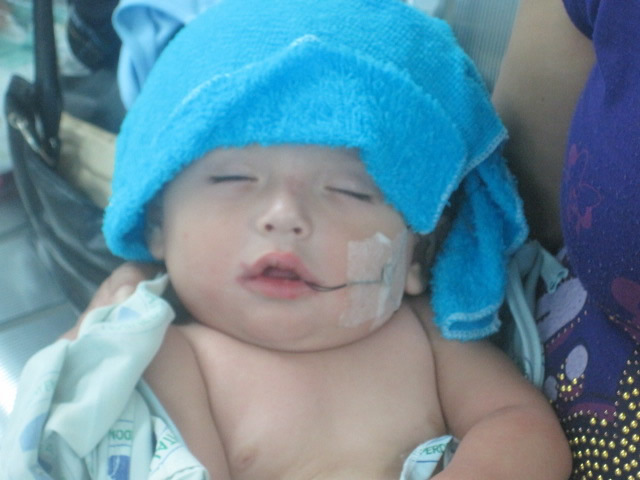 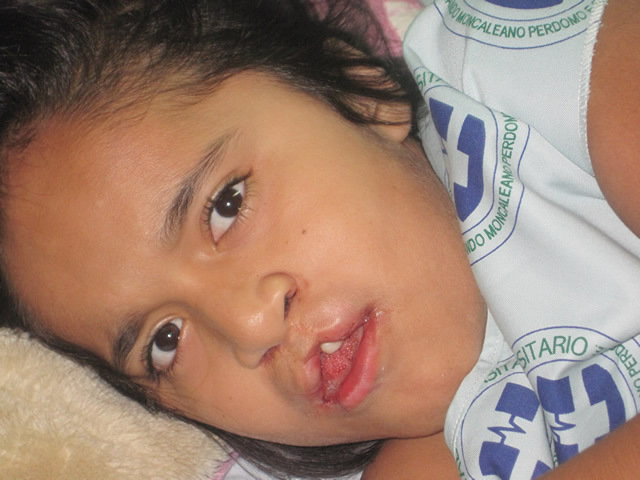 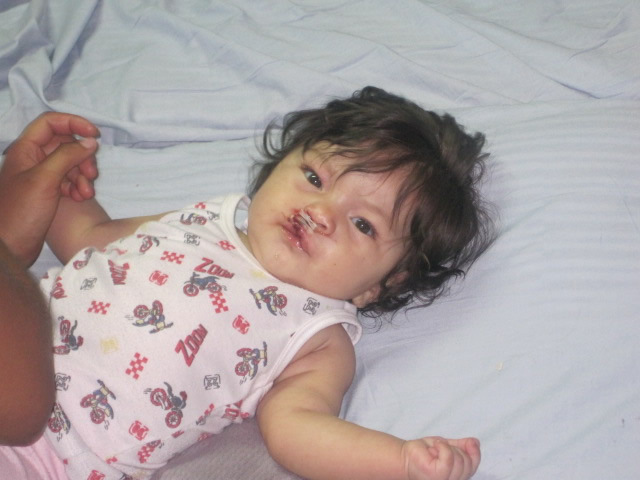 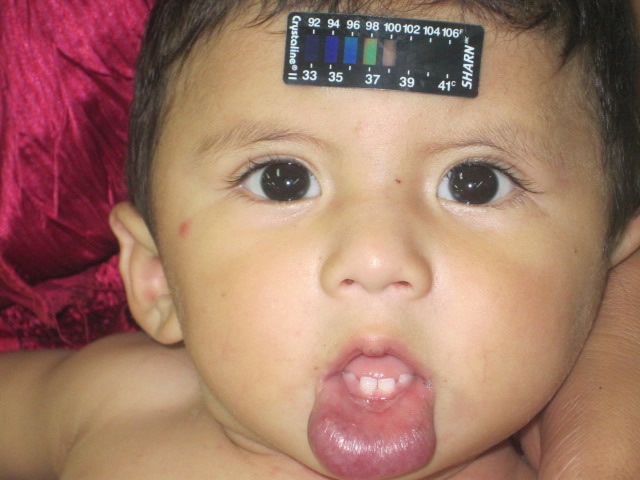 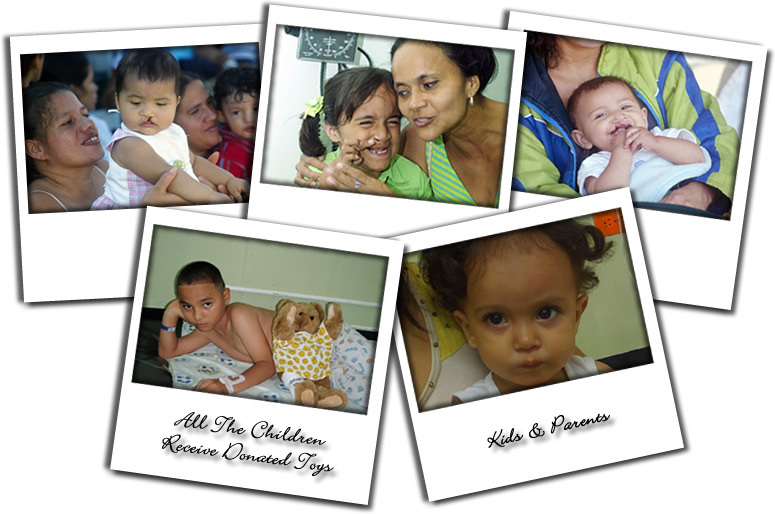 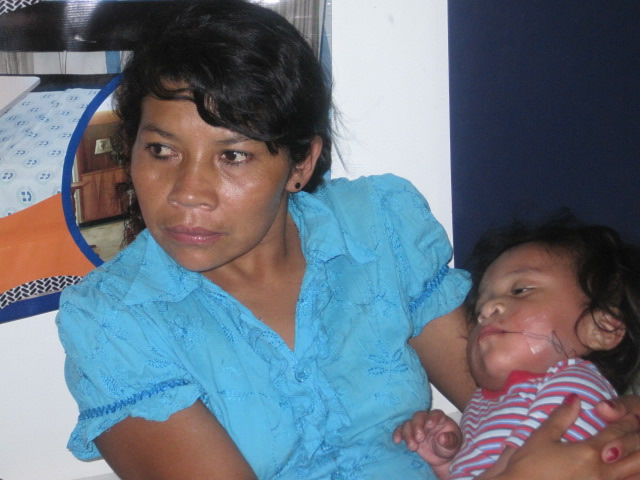 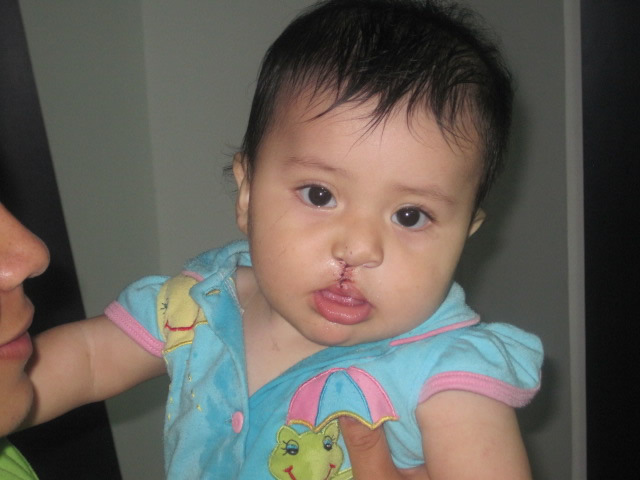 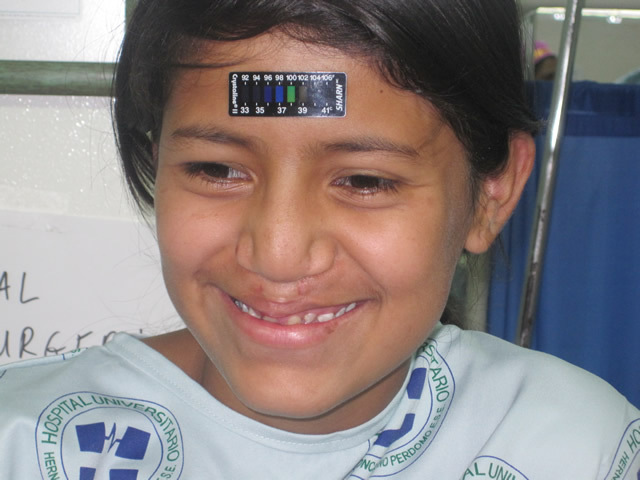 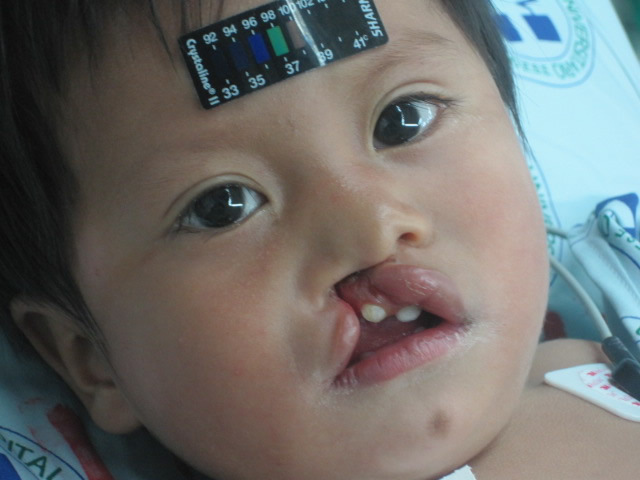 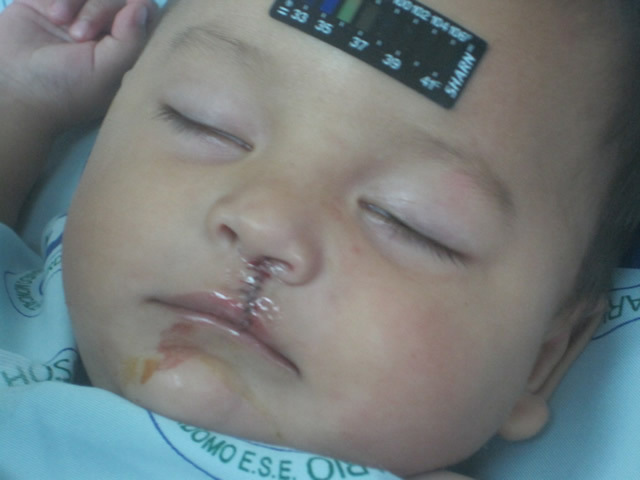 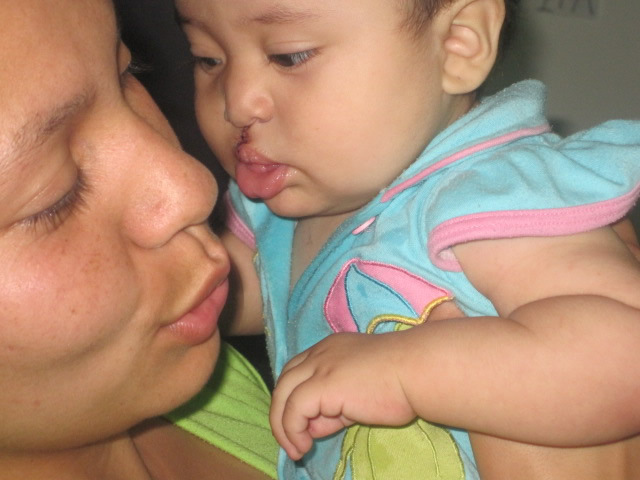 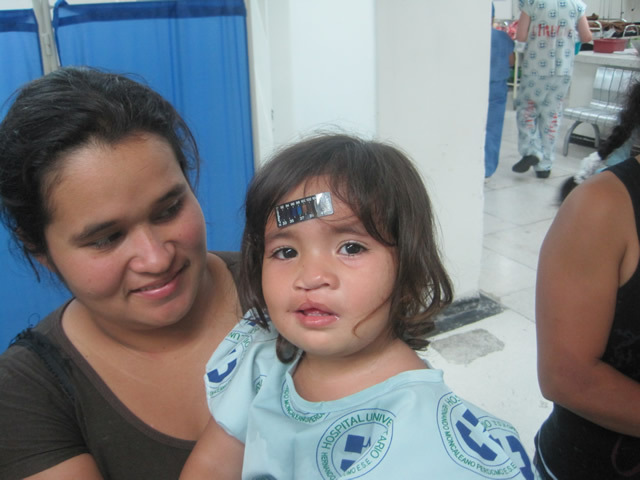 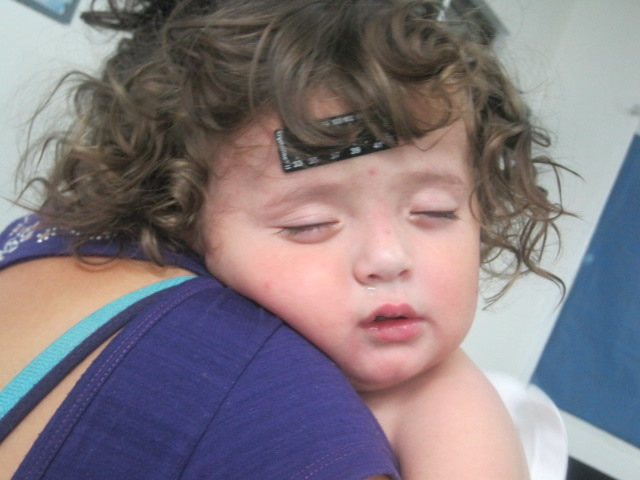 This Pilot Program, in conjunction and coordination with Colombian medical professionals, will be focusing on expanding beyond cleft surgery and to establish long term treatment plans for children who are diagnosed with cleft lip and palate deformities. 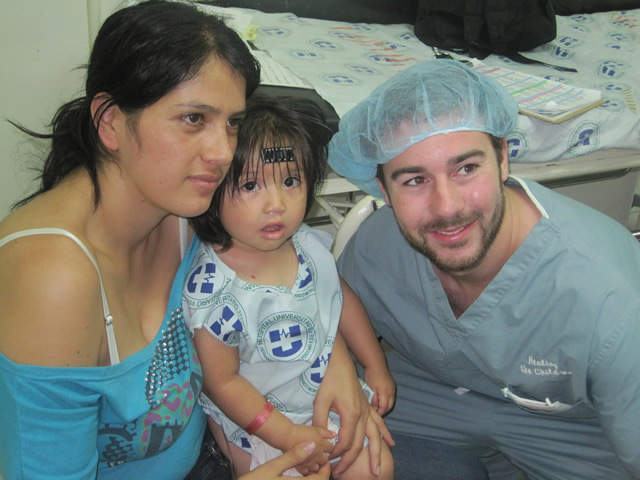 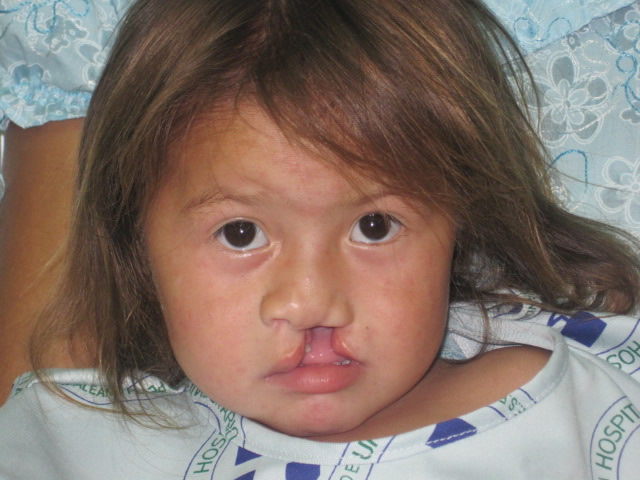 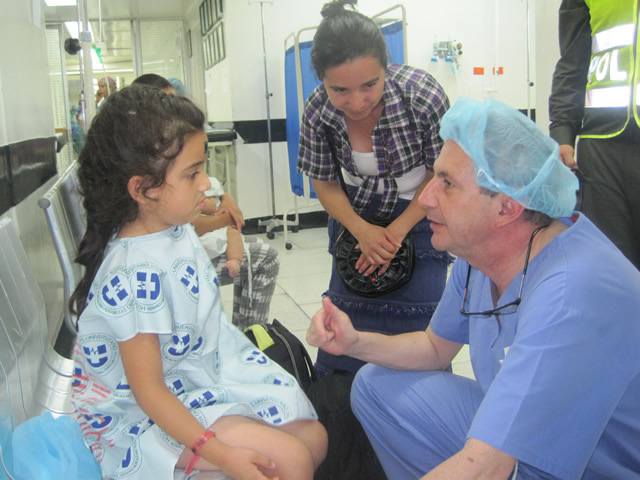 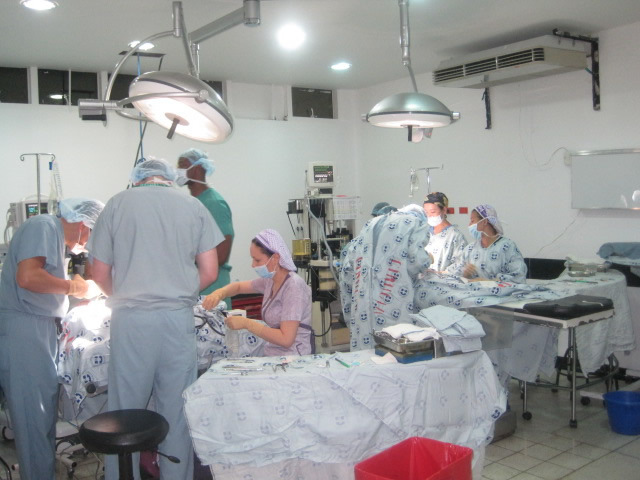 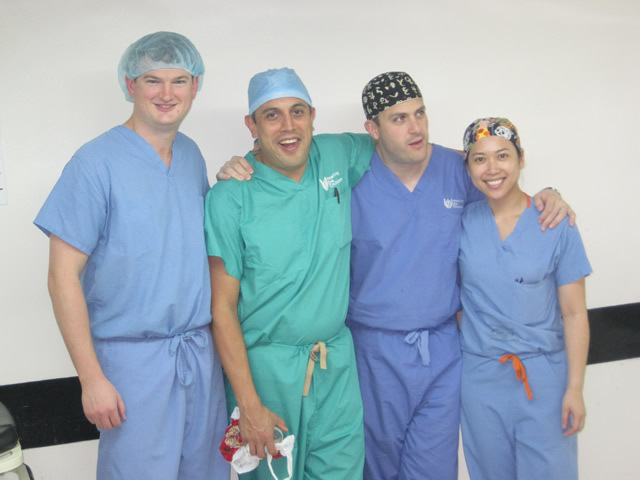 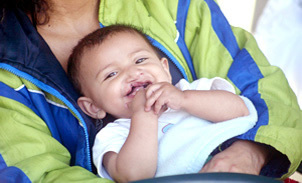 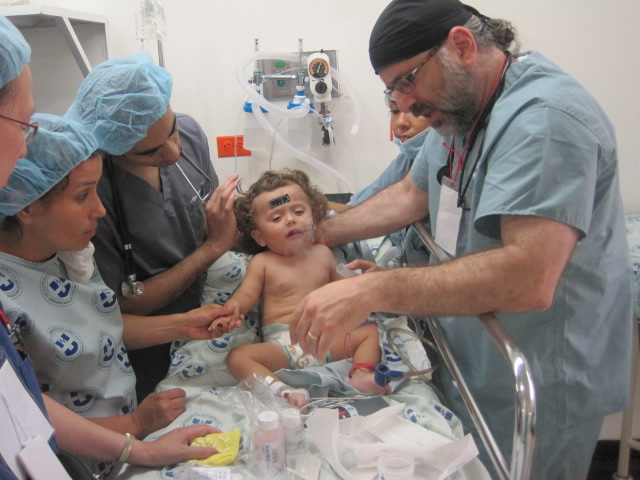 Dr. David Hoffman, the mission’s surgical director, has been at the forefront of bringing cleft lip and palate surgery to this region for more than 20 years, personally operating on over 200 children. 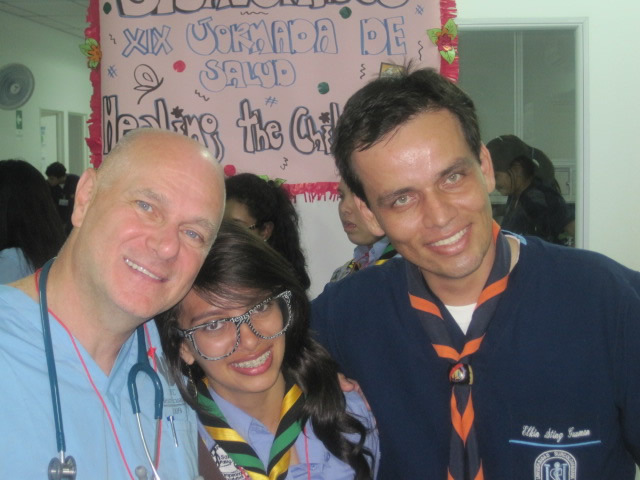 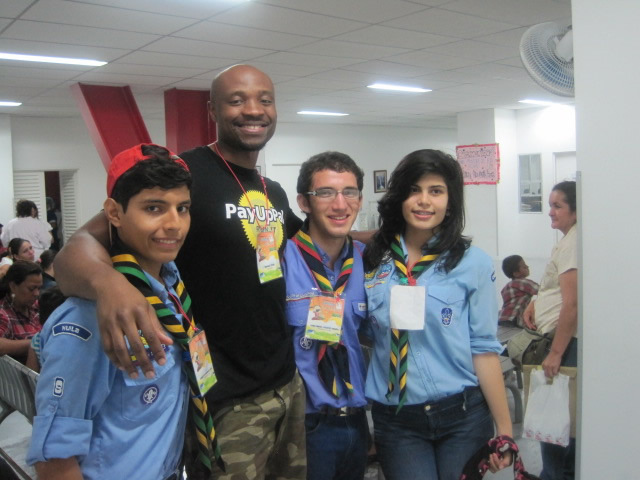 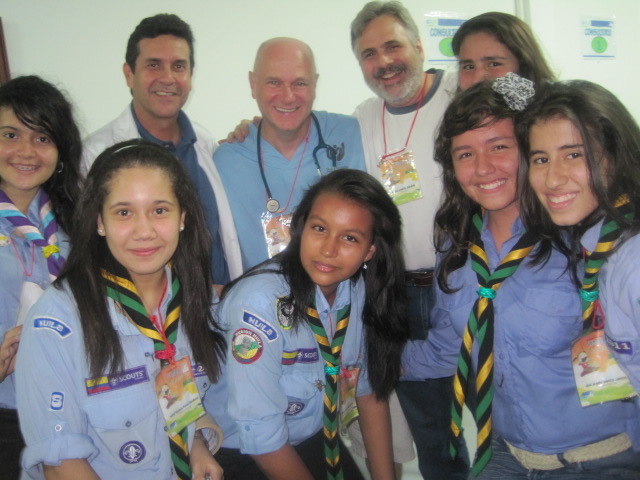 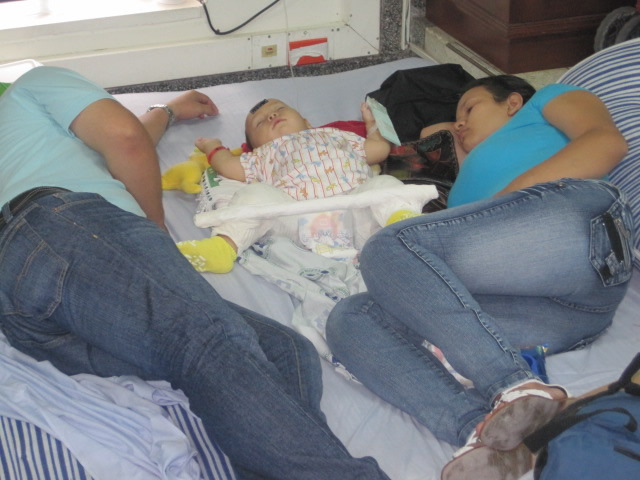 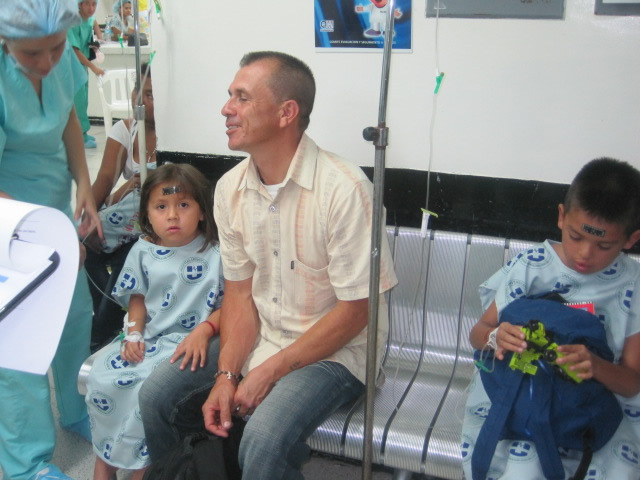 His vision and close relationships with the people and medical professionals of Colombia leads the expanded scope of the Healing the Children Neiva, Colombia program. 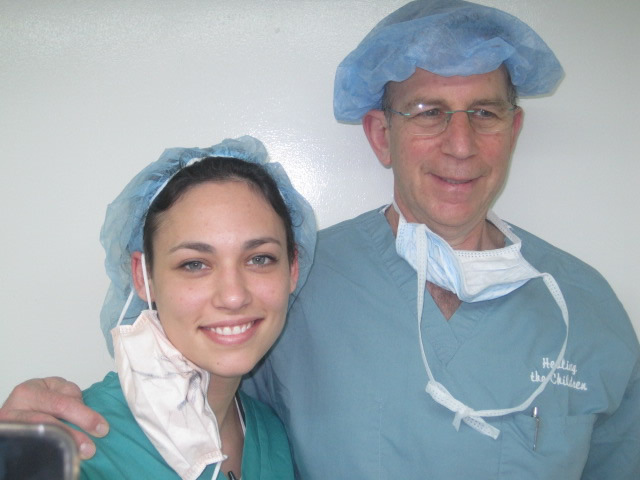 Dr. Hoffman is one of a select few oral surgeons worldwide that has the surgical and educator credentials that encompass the full range of cleft lip and palate cases, from pre-natal identification to the post-op treatment plans that often require additional surgeries, orthodontics, speech therapy, and the treatment management that extends to adulthood. 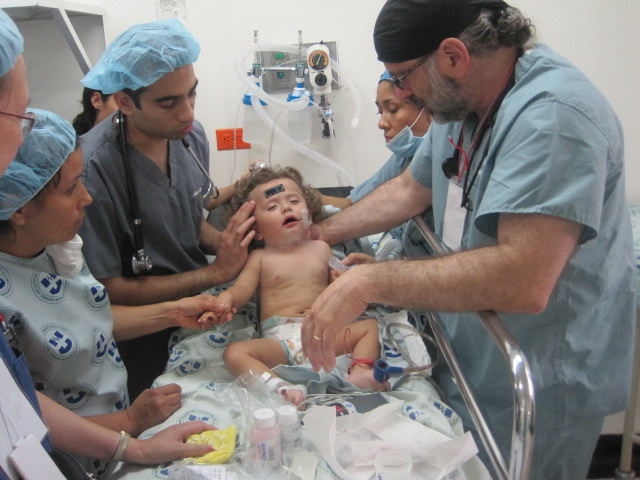 Dr. Hoffman will lead the team of more than 30 volunteers from the United States, Colombia, and other countries to Neiva, Colombia, from May 30th through June 6th for the Healing the Children Neiva, Colombia program, where they will screen over 600 children and perform over 100 surgeries that range from cleft lip and palate to foot, hip, and other congenital and traumatic deformities. 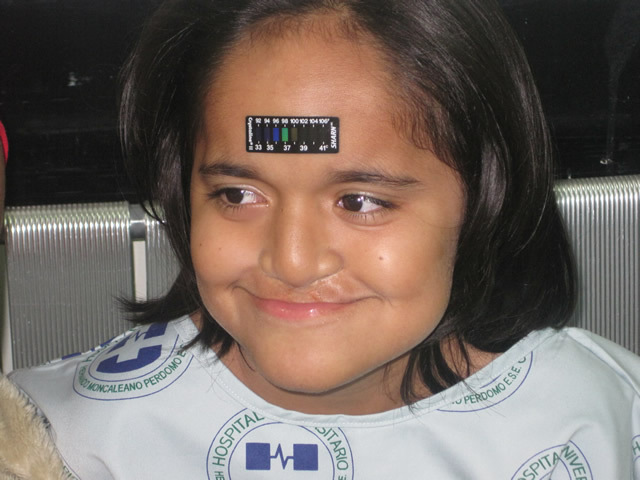 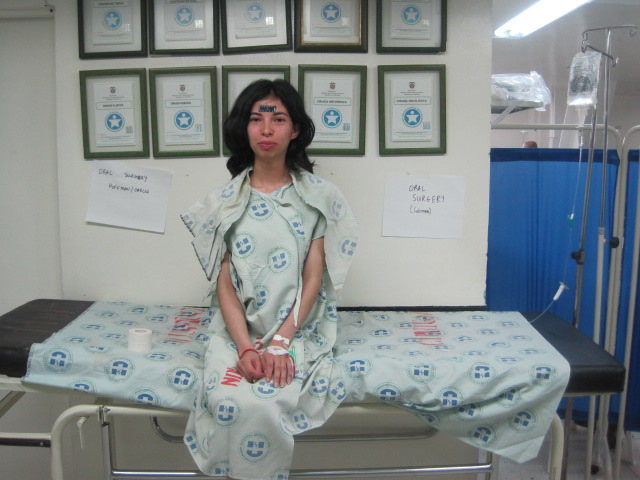 They plan to set up 10 operating room tables and a screening facility that will coordinate the efforts of speech pathologists, geneticists, orthodontists, and plastic surgeons, enabling them to establish a database for all patients and their prescribed follow up care. 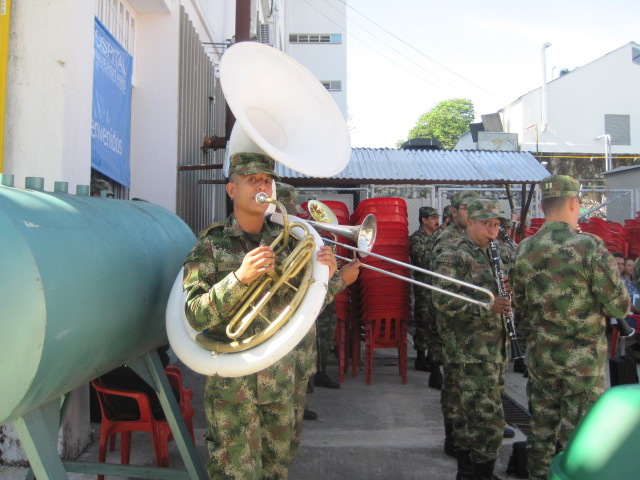 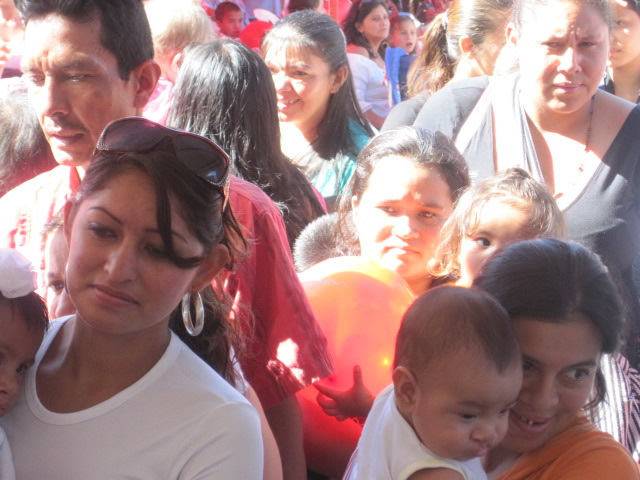 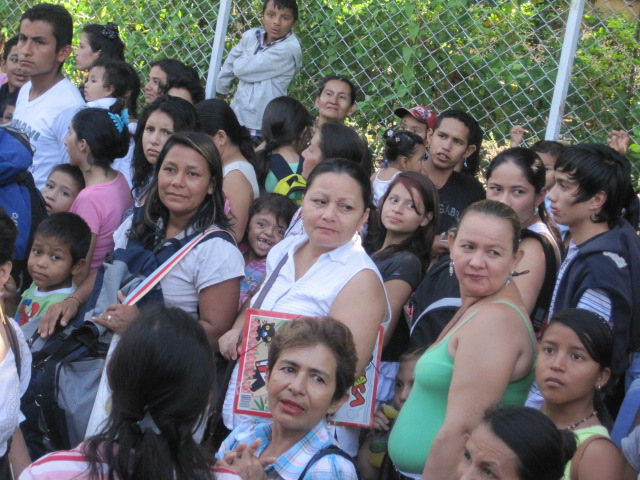 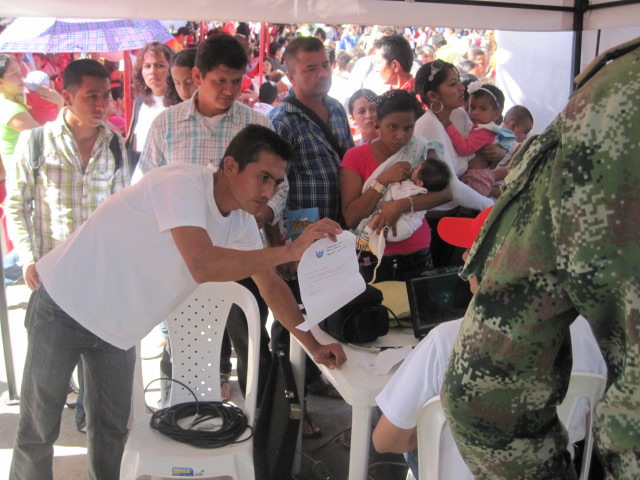 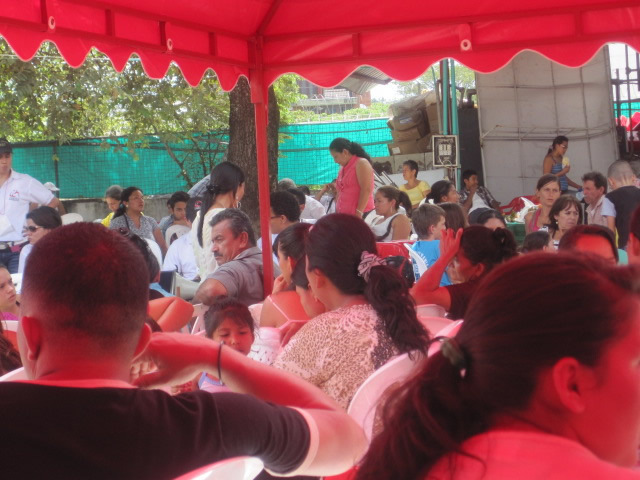 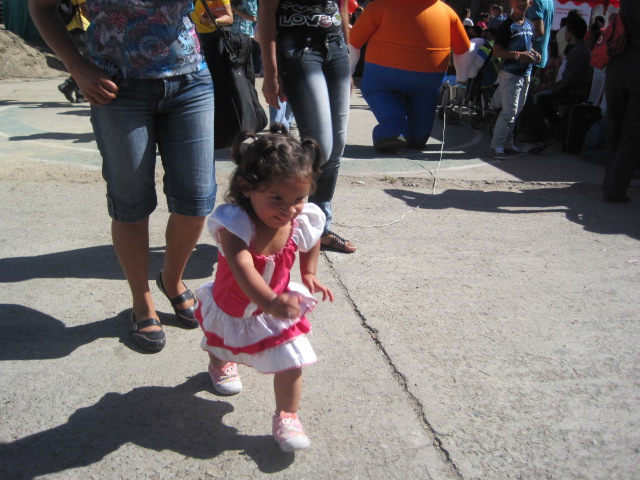 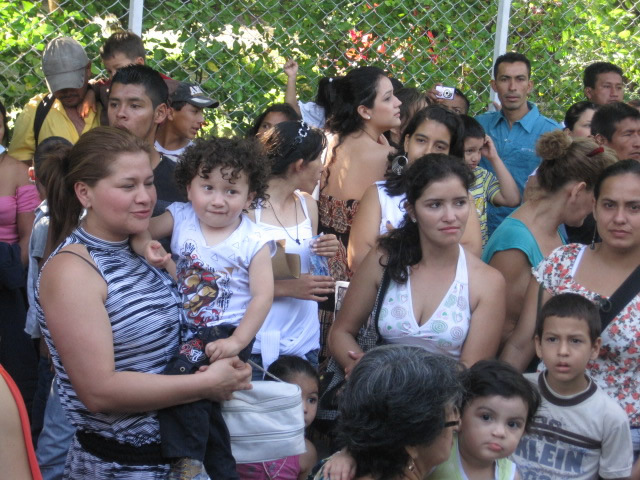 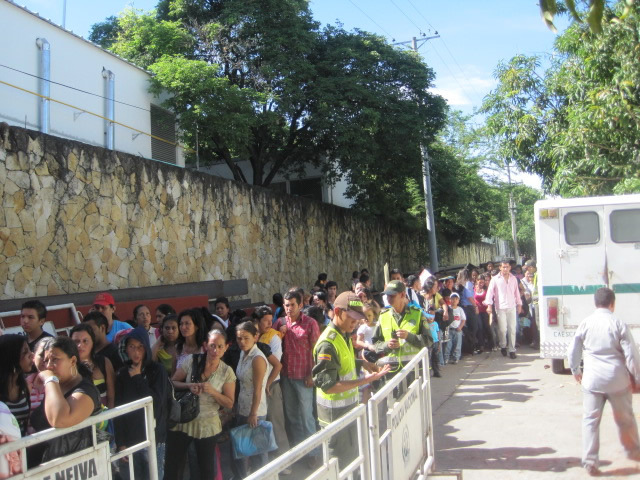 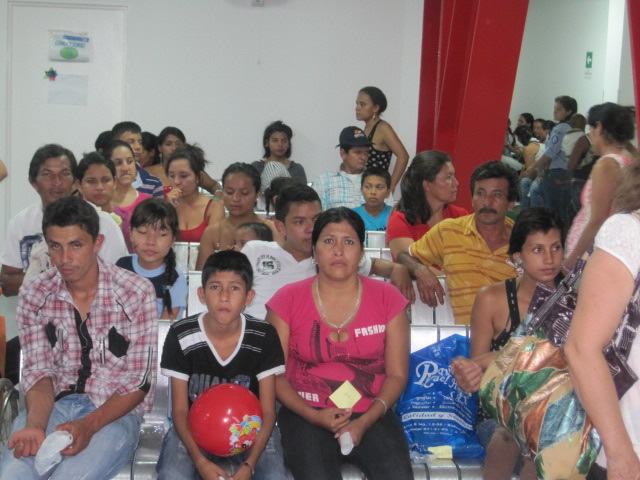 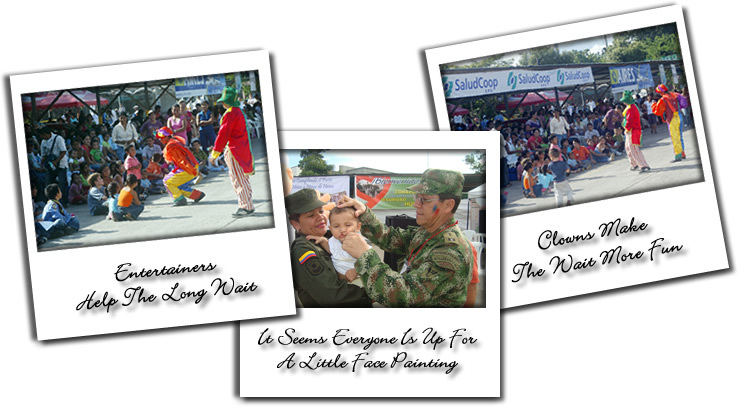 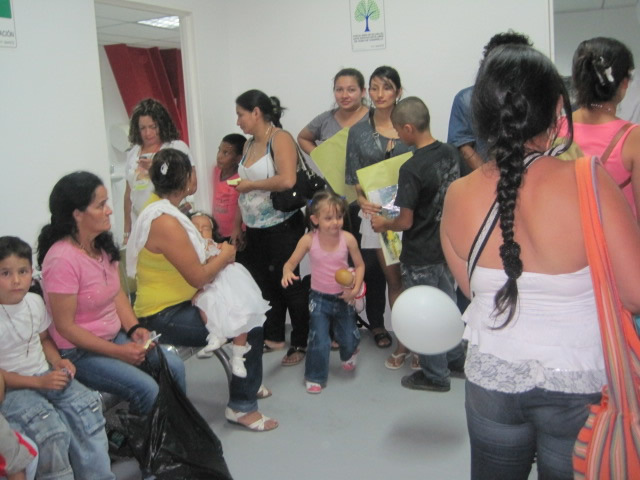 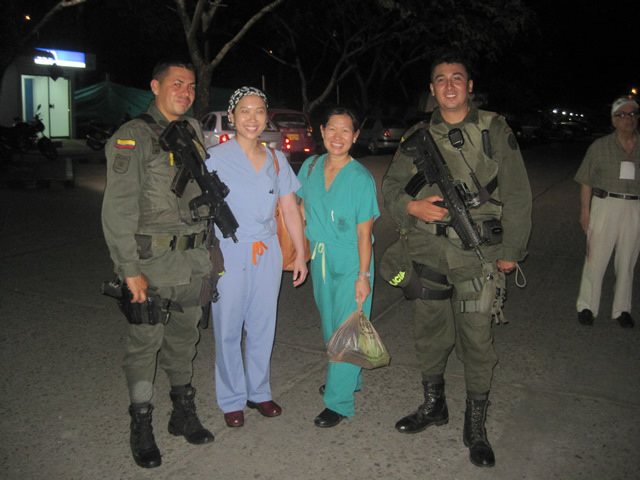 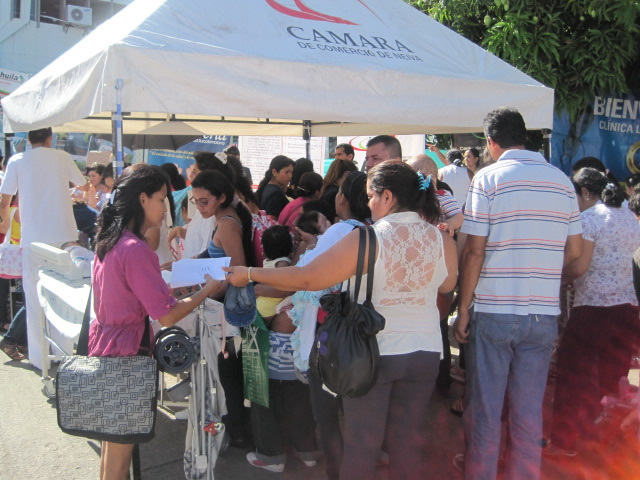 The continuing success and expansion of the Healing The Children Neiva, Colombia program could never have been possible without the dedication and support of the local population, including the military, police, and hospitals. 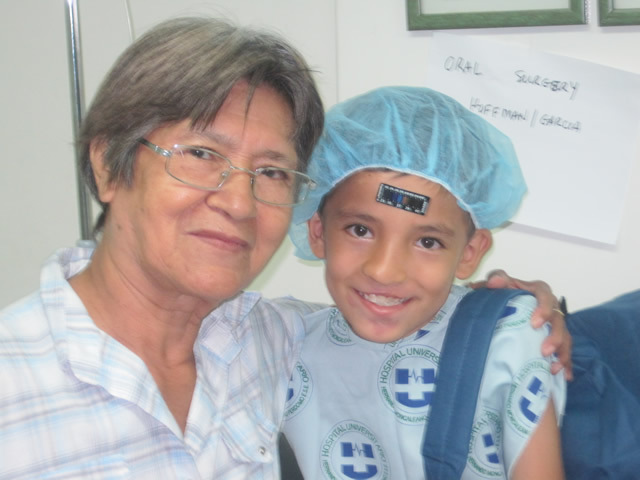 As the story goes some 30 years ago, Carlos Vajado, returning to his native Colombia from the U.S., met the head of the Northeast HTC chapter, Angie Glick, and was inspired to initiate a mission to Neiva. 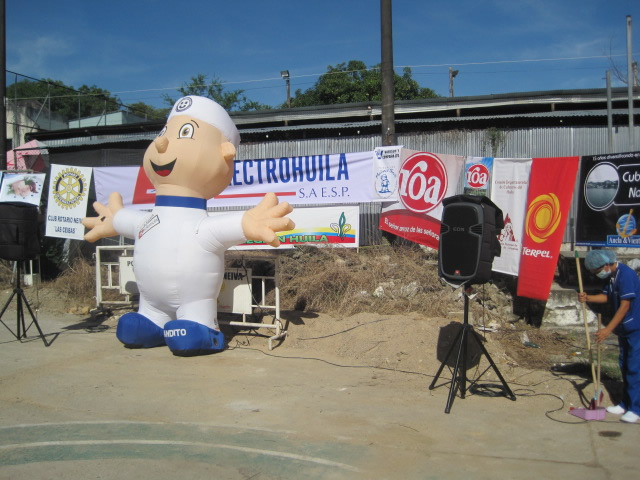 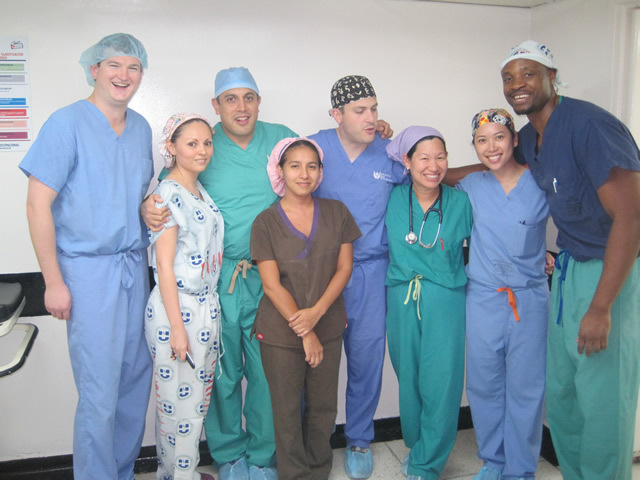 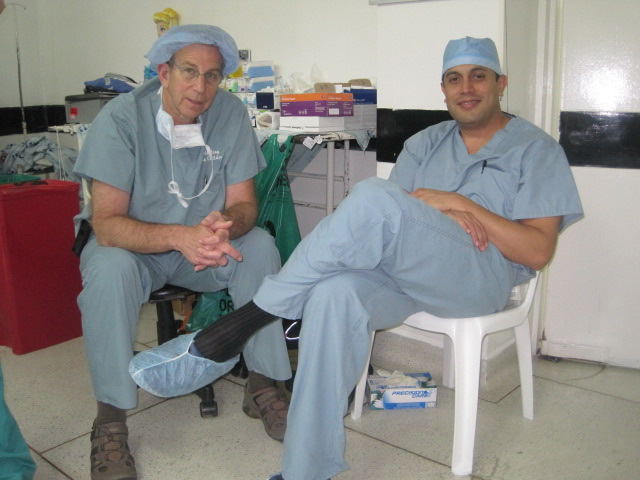 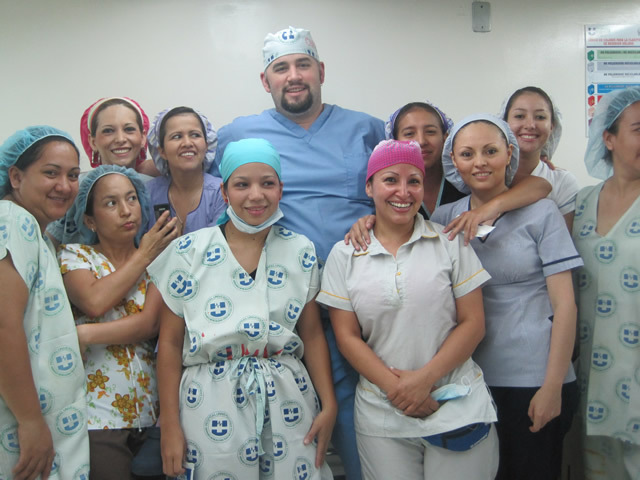 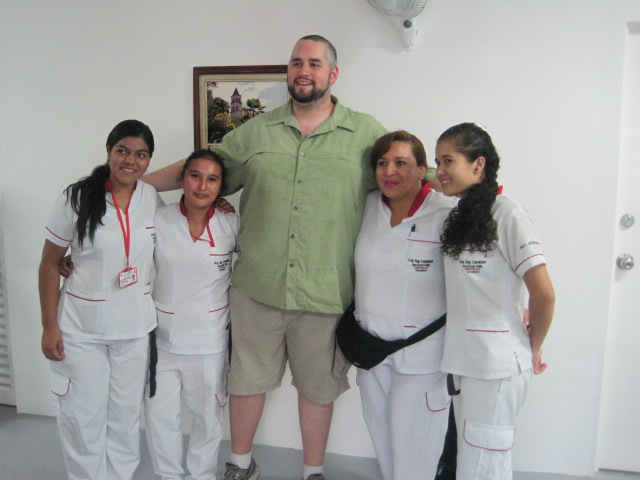 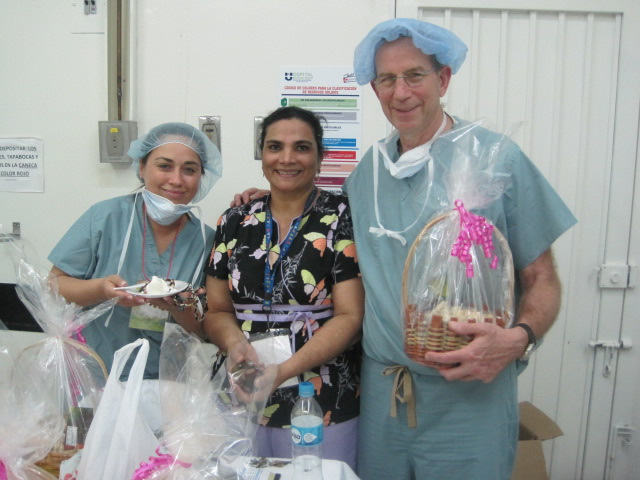 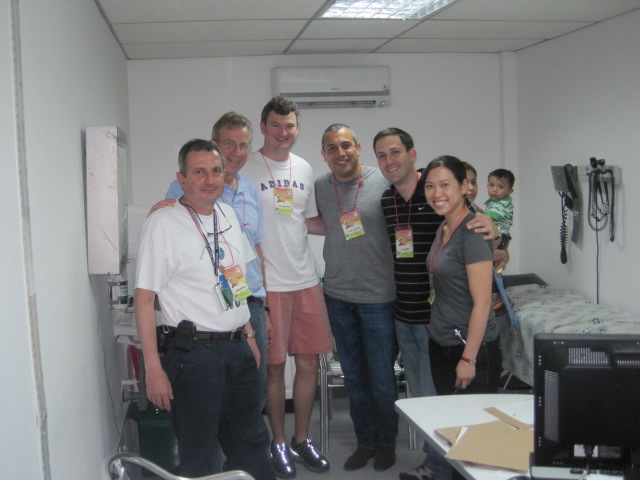 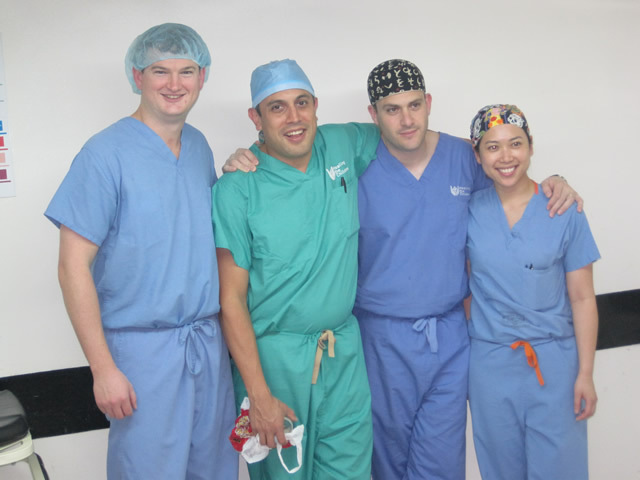 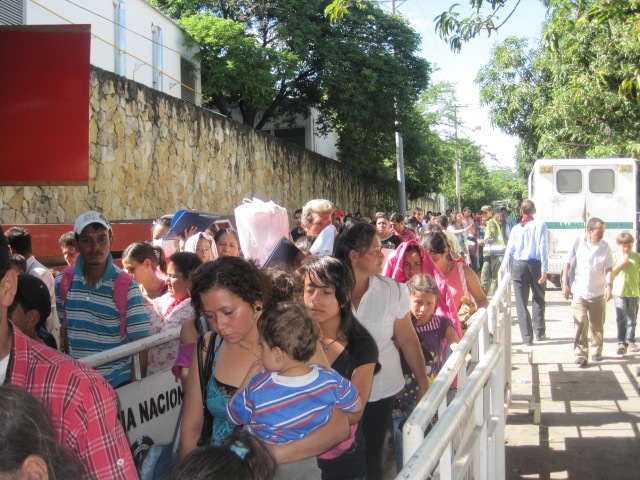 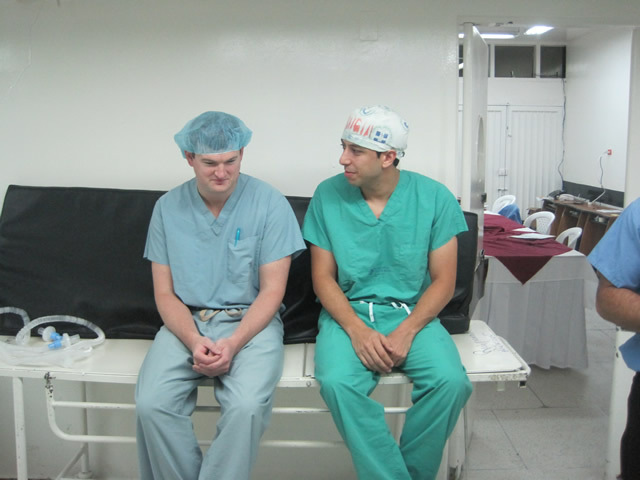 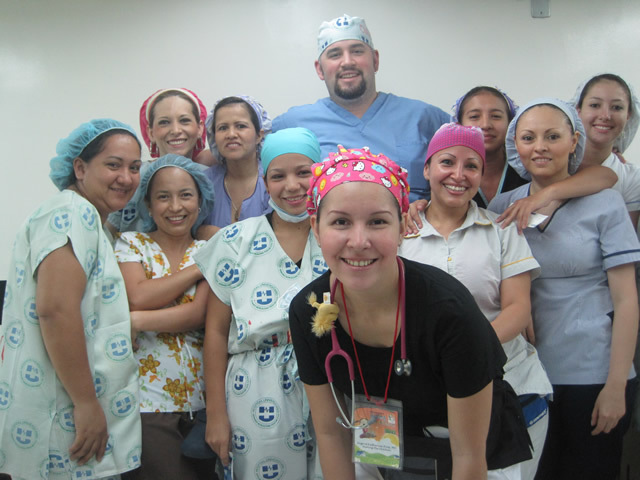 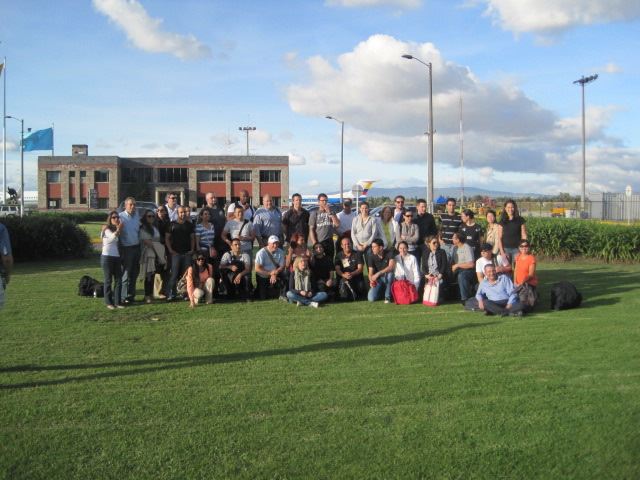 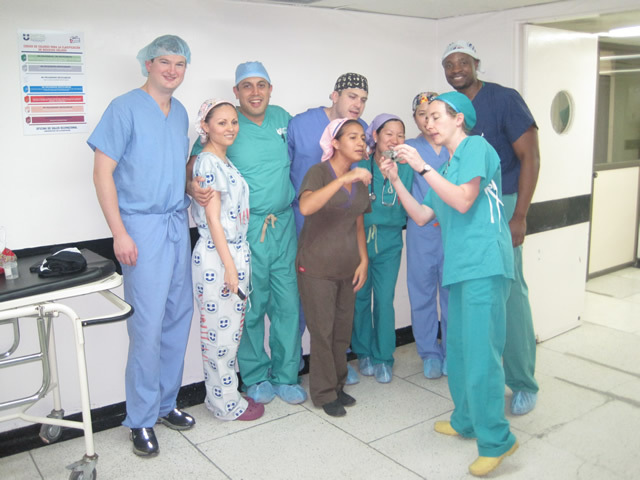 During the following decades, Dr. Hoffman and others have developed strong relationships with the Colombian medical community, in some cases spanning several generations. 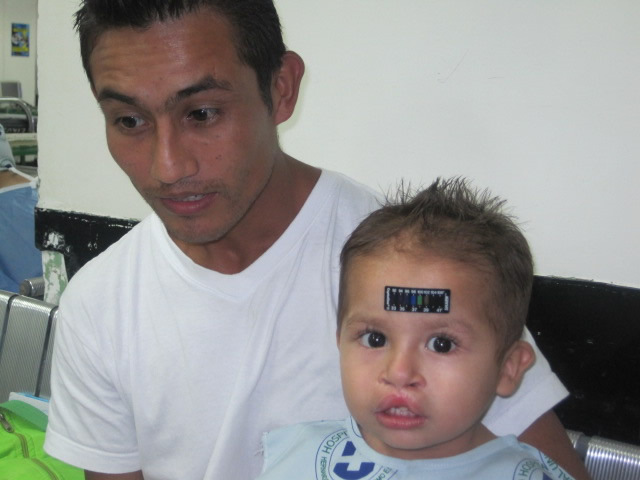 A special example are the Drs. 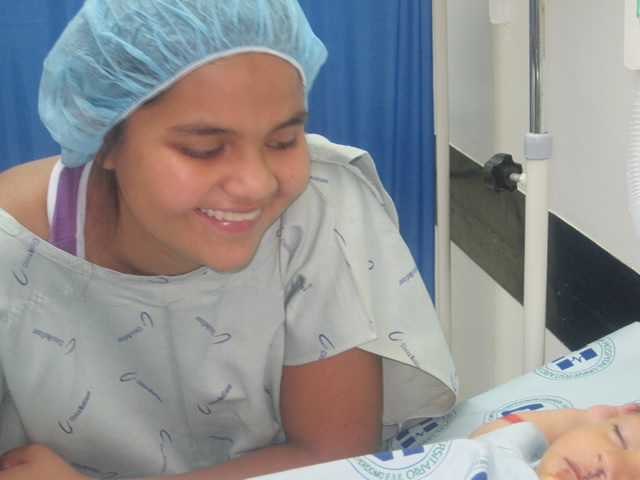 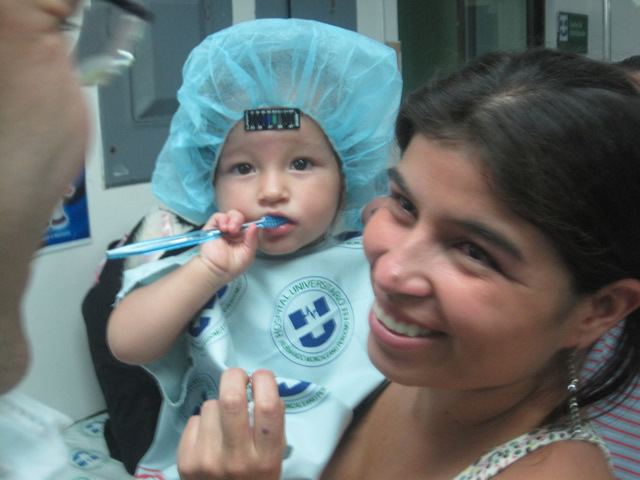 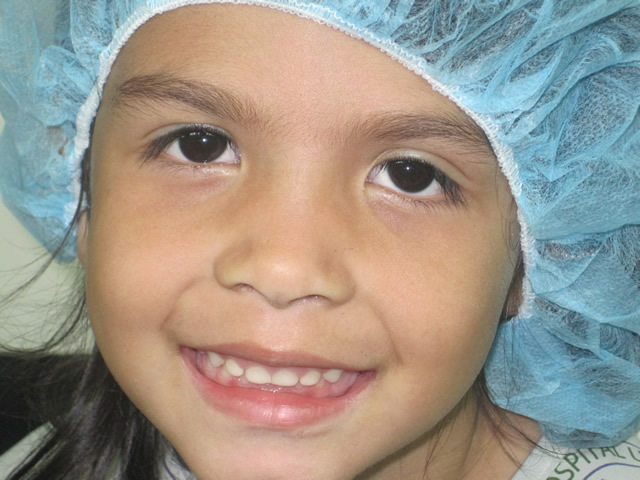 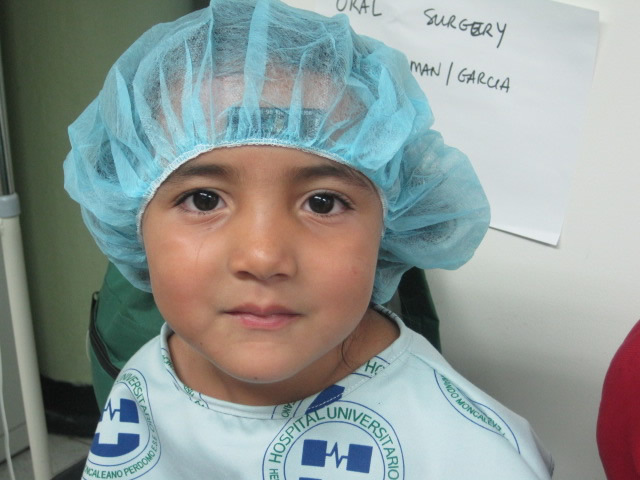 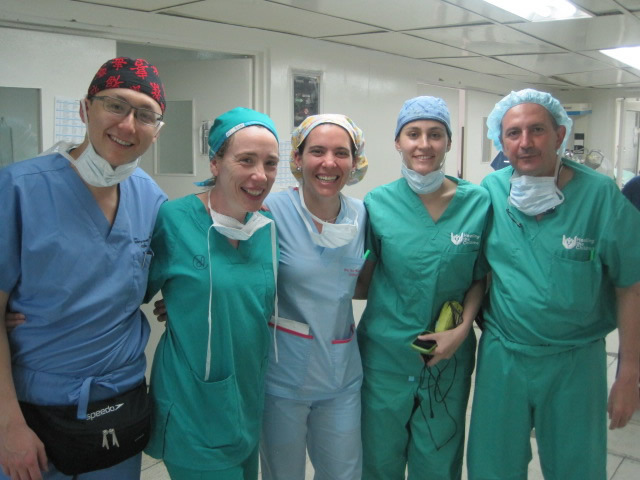 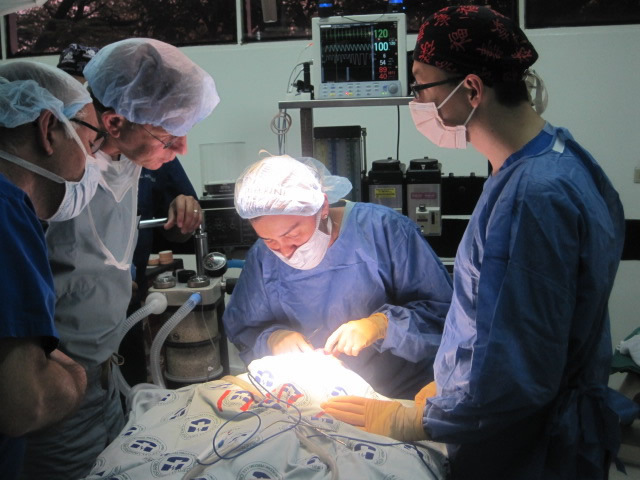 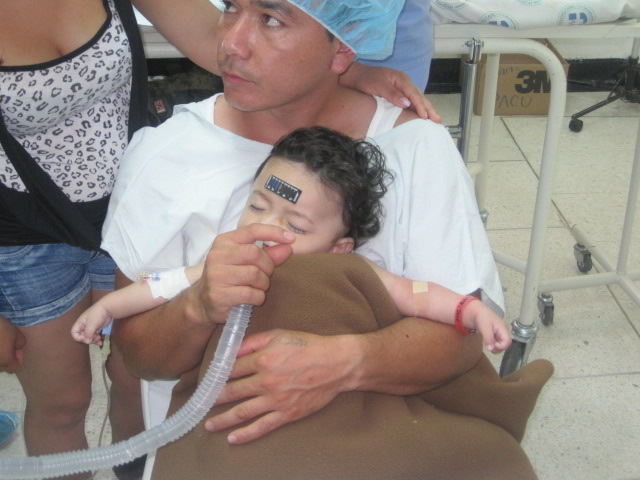 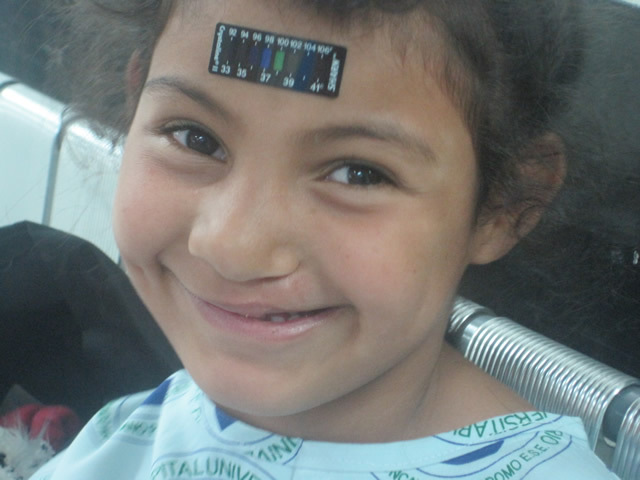 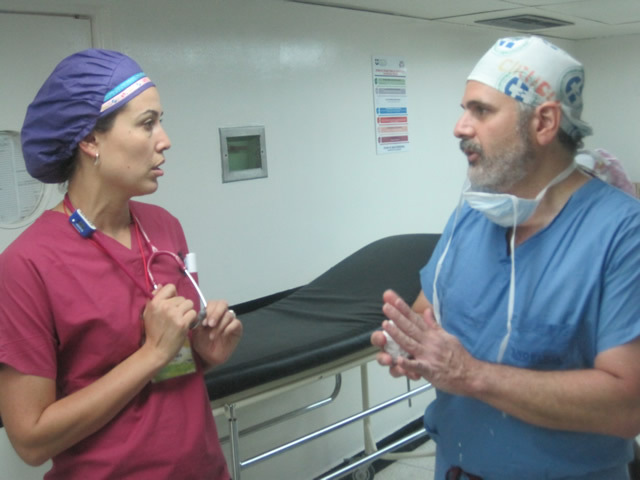 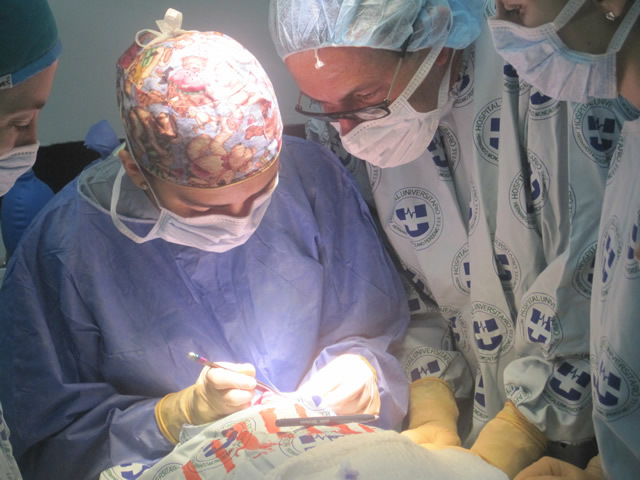 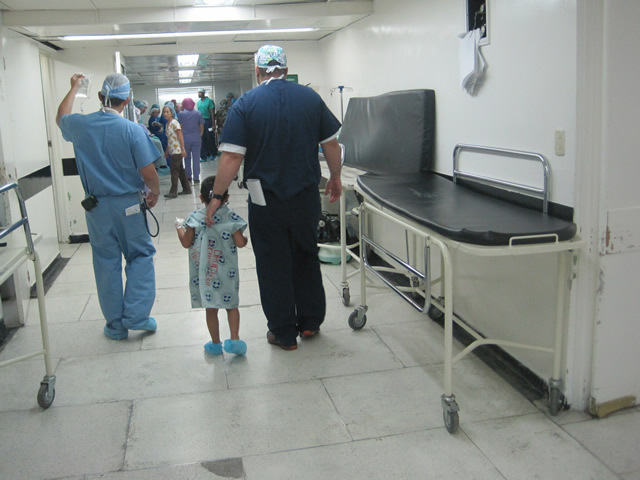 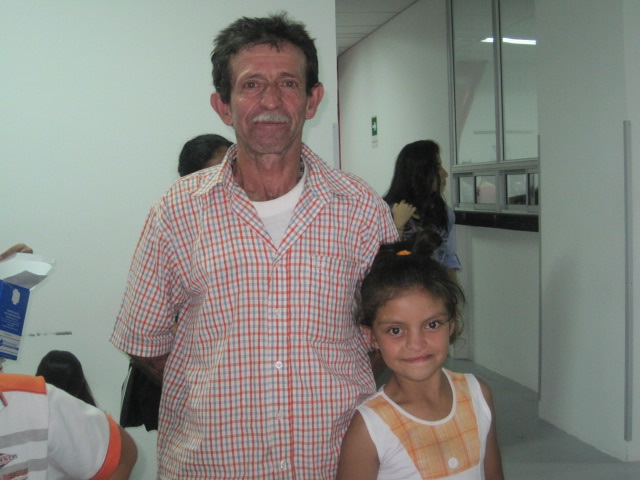 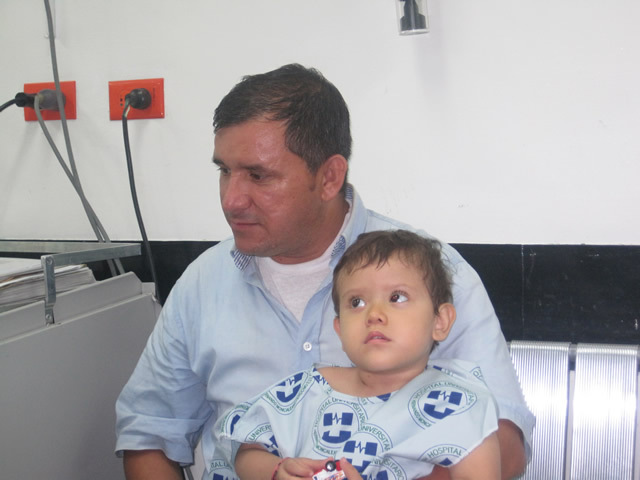 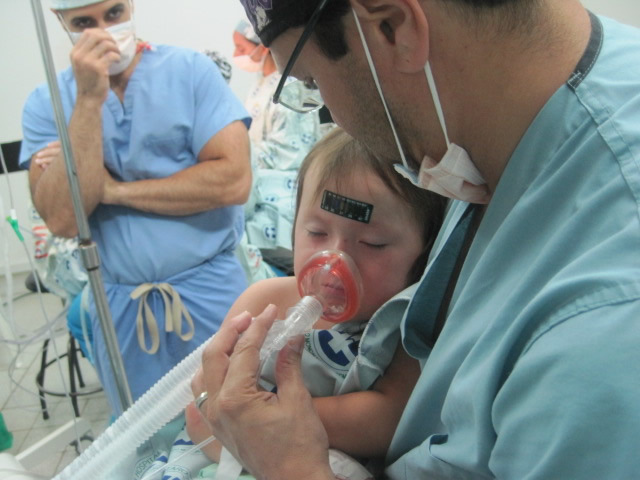 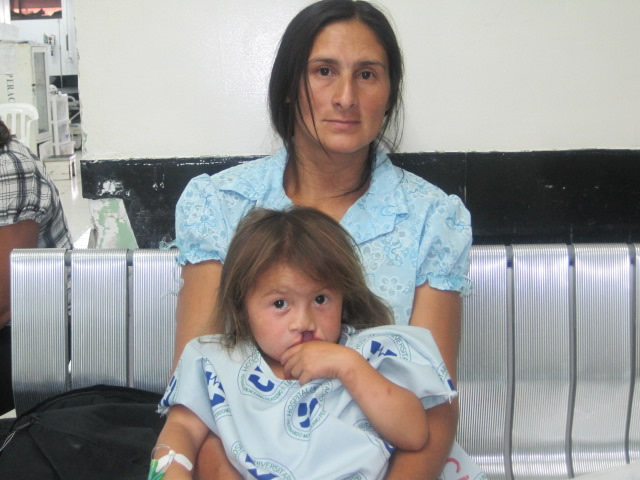 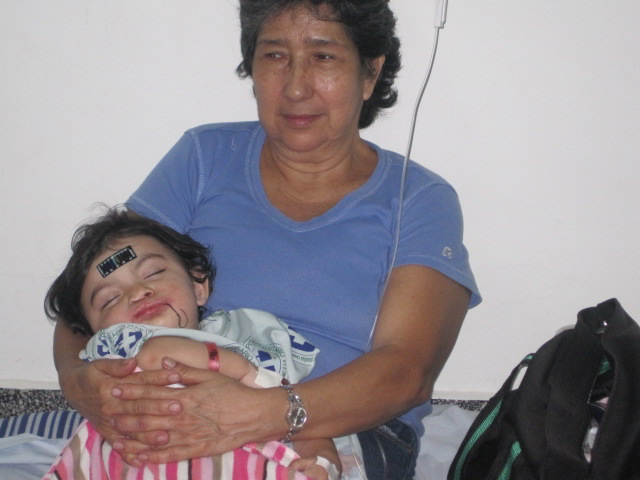 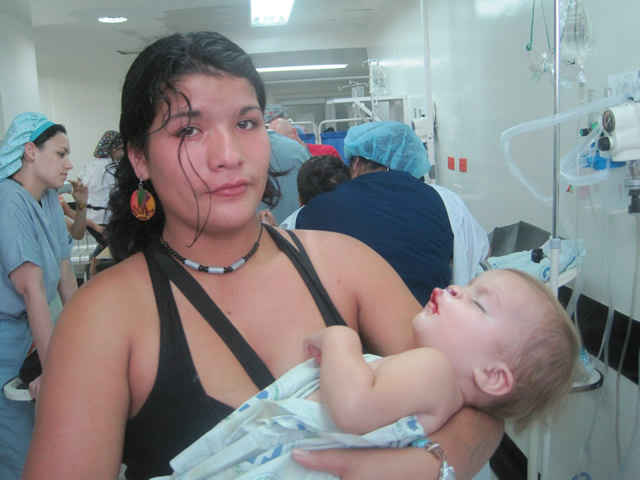 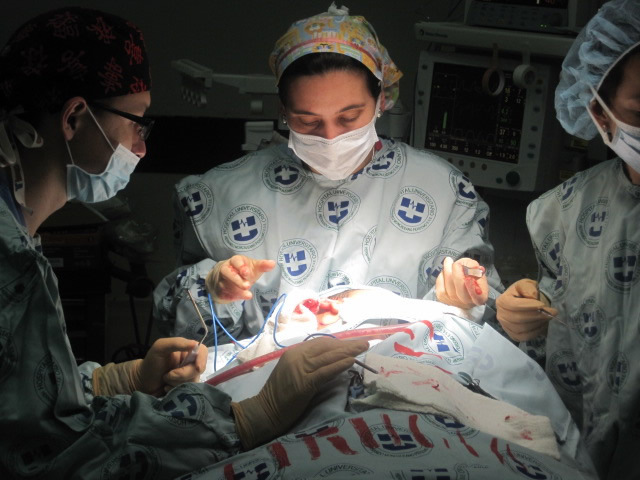 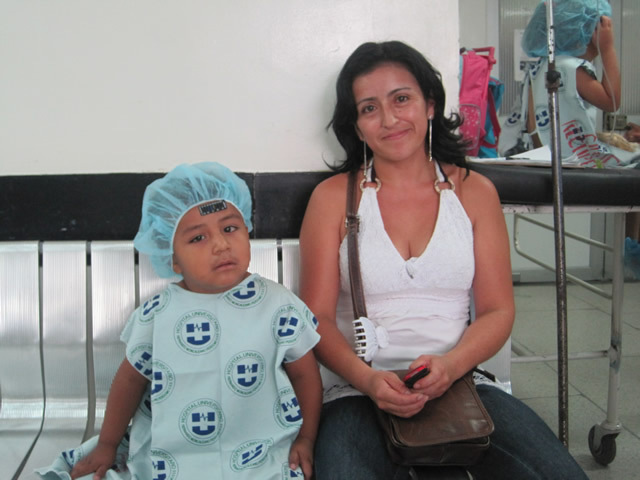 Munoz: Dr. Oscar Munoz was an original team member and now his daughter, Caterina, also a plastic surgeon, participates in the Healing the Children Neiva, Colombia program. 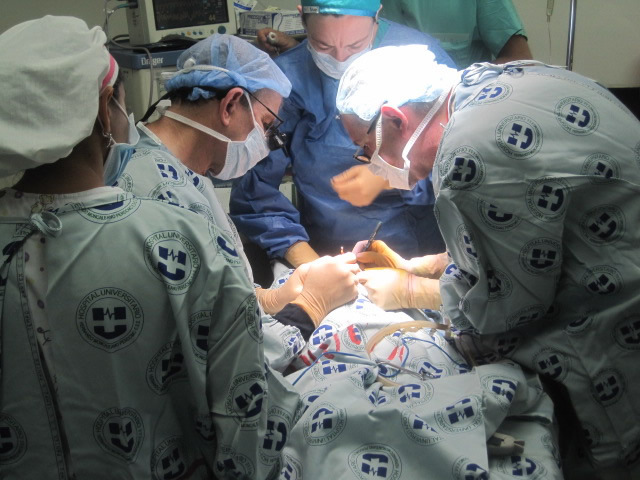 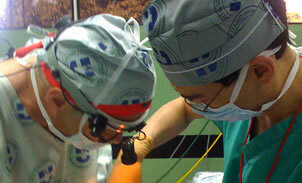 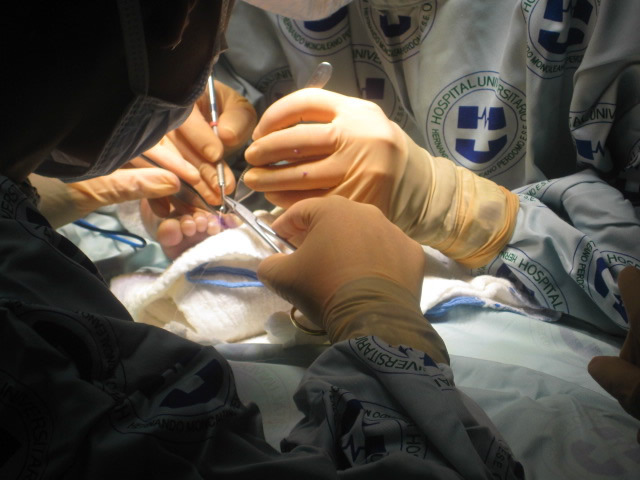 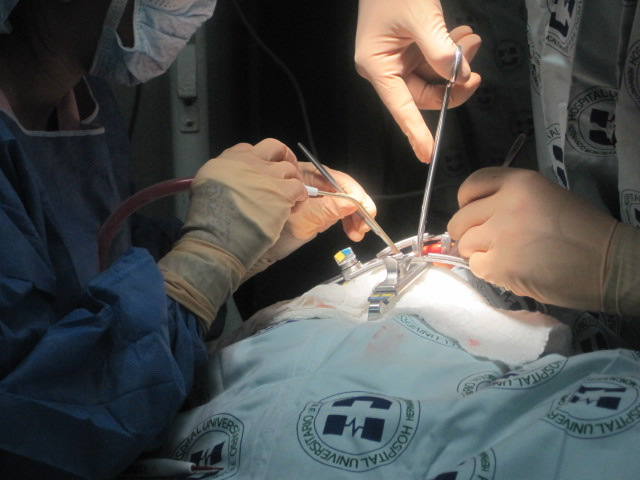 Despite the fact that all the professionals and assistants volunteer their time, expertise, and pay their own airfare, and many of the supplies are donated, additional funding is still required, especially to introduce new techniques, equipment, and treatments. 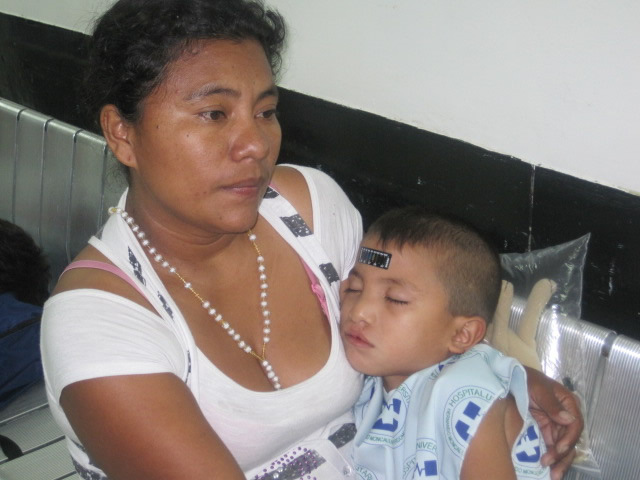 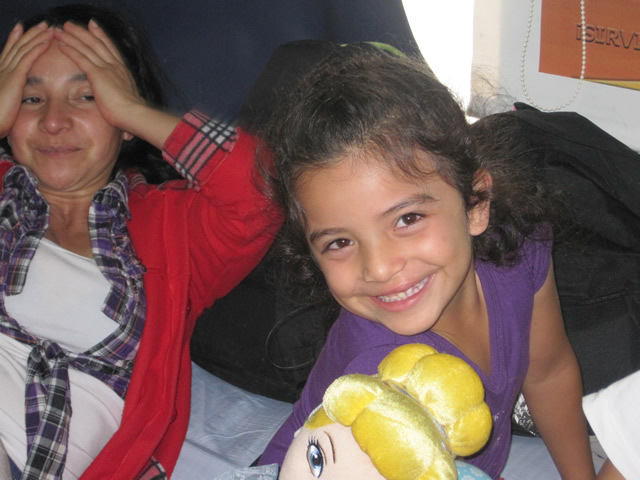 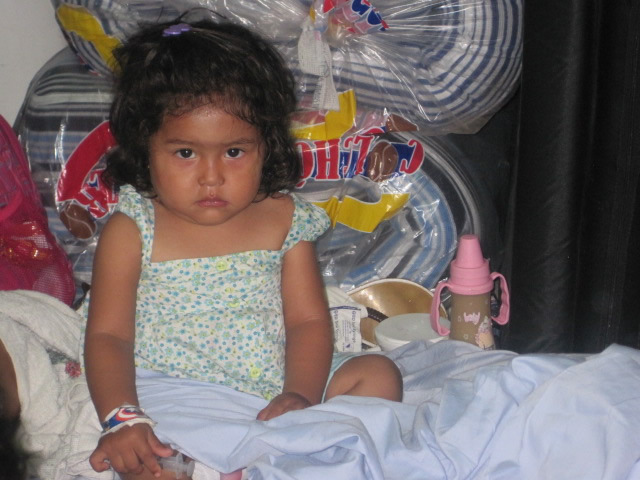 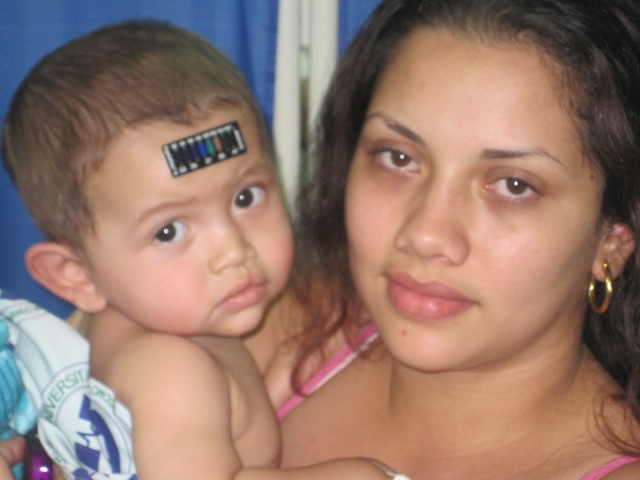 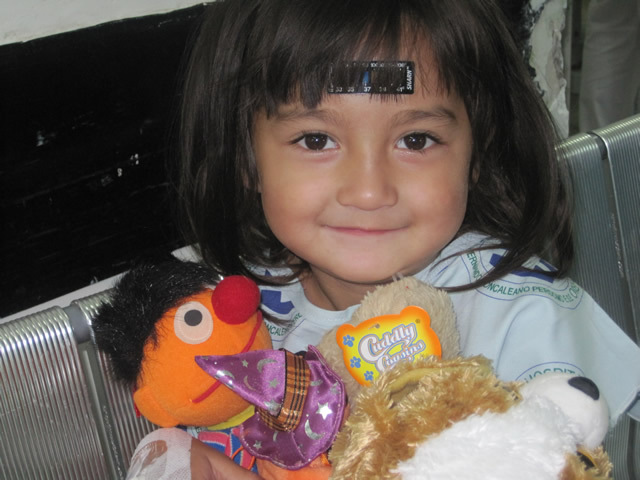 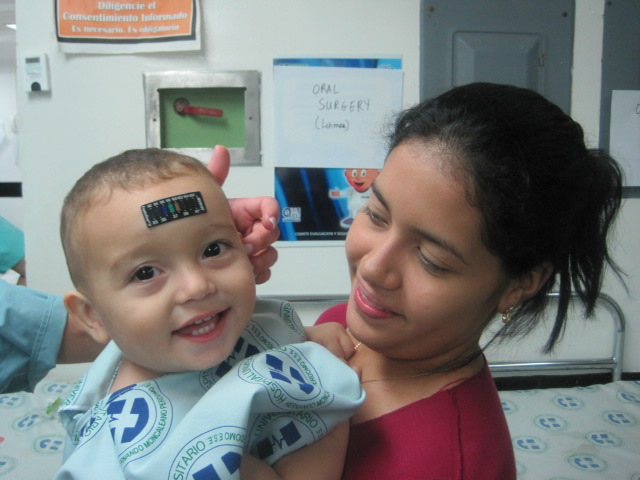 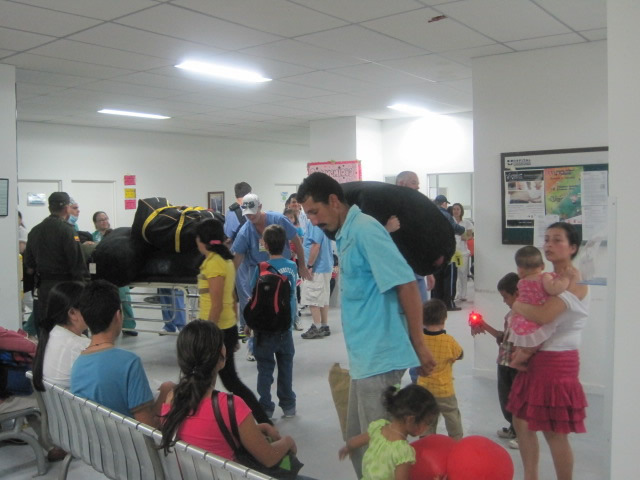 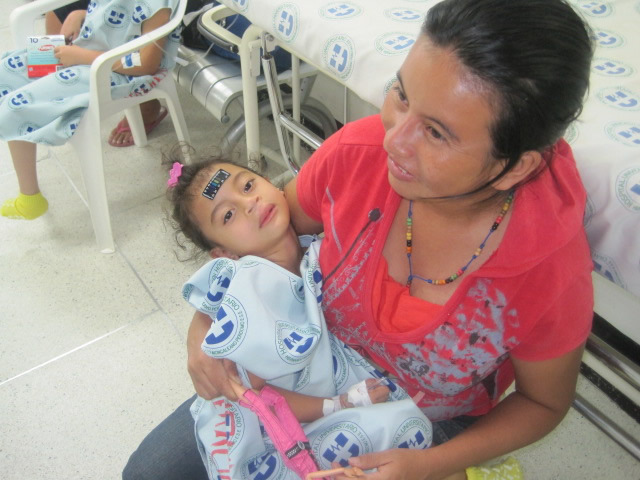 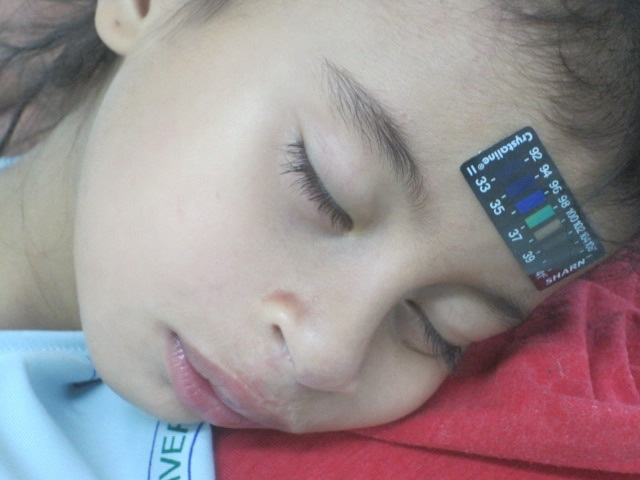 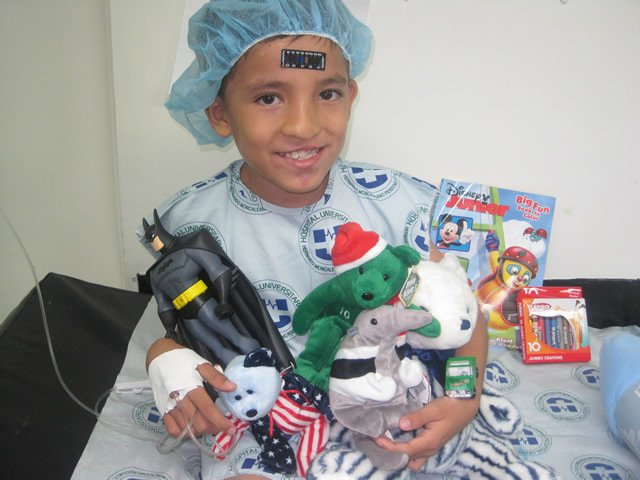 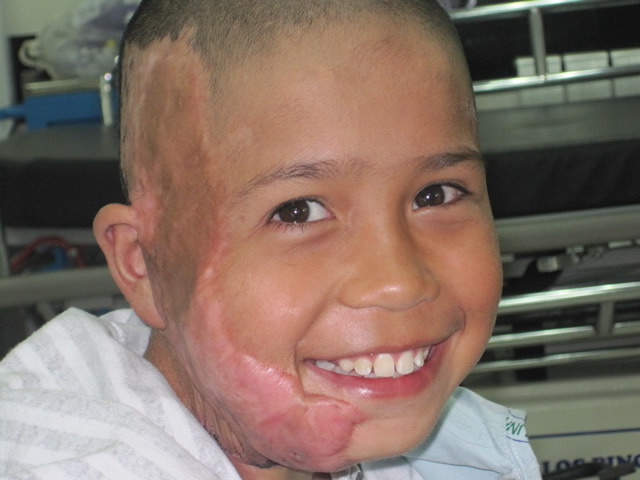 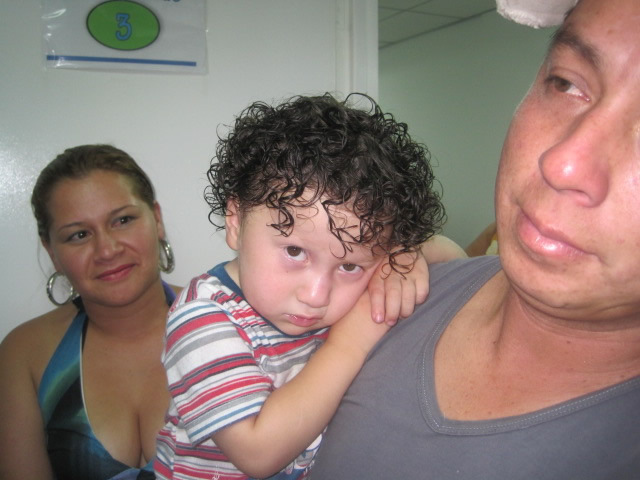 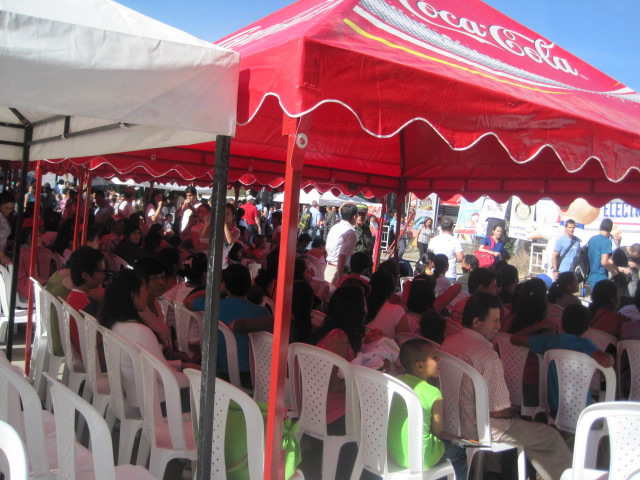 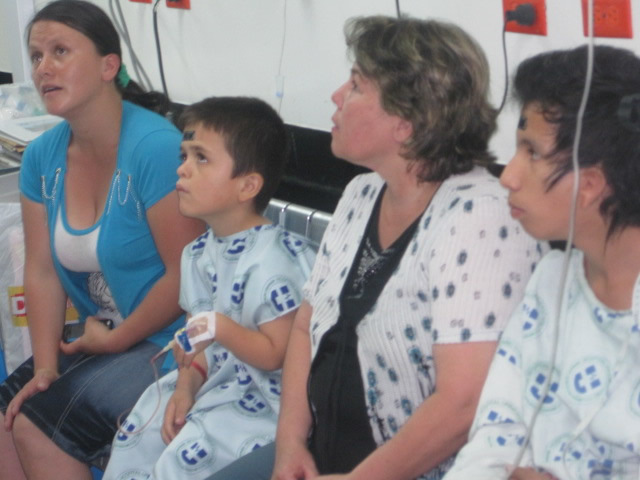 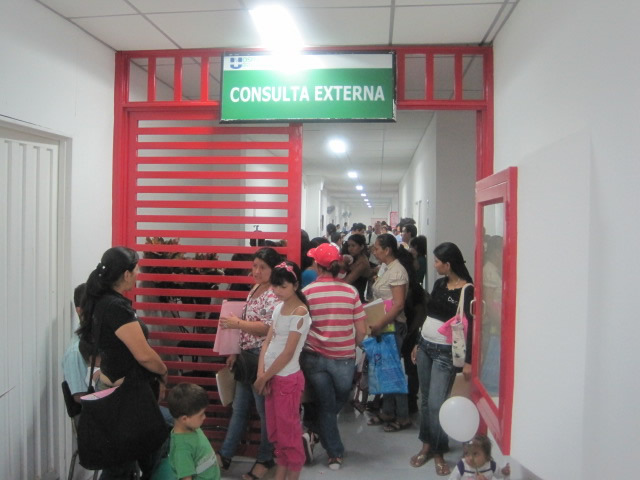 Healing the Children Neiva, Colombia is a non-profit National Organization whose sole mission is to provide medical care to children in need, both in the United States and worldwide. 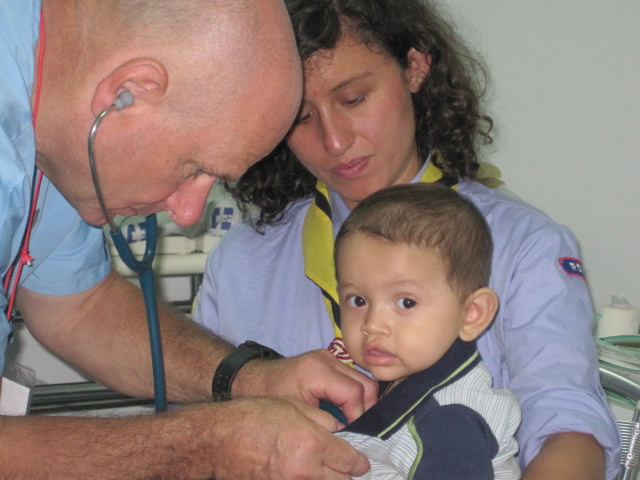 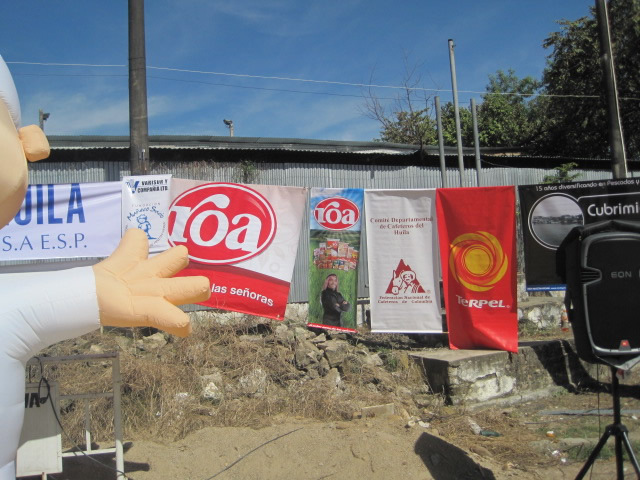 With 13 chapters nationwide and many International Partners, it is committed to meeting the healthcare needs of children worldwide.